'Fat-finger' error seen as sterling slumps; 07.10.2016 (1) ‘Z’ தர நிறுவனங்கள் - ருபீடெஸ்க் கன்சல்டன்சி (1) " Free Share Market Training in Chennai " (1) "Free Commodity Mini Calls" "Free Commodity Calls" : 09.03.2017 (1) "Free Commodity Tips" "Free MCX Commodity Tips" : 01.03.2017 (1) "Free MCX Commodity Tips" "Free Commodity Tips" (1) "Free MCX Commodity Tips" "Free Commodity Tips" : 10.03.2017 (1) "Free MCX Commodity Tips" "Free Commodity Tips" : 21.03.2017 (1) "Free MCX Commodity Tips" "Free Commodity Tips" : 06.03.2017 (1) "Free MCX Commodity Tips" "Free Commodity Tips" : 07.03.2017 (1) "Free MCX Commodity Tips" "Free Commodity Tips" : 08.03.2017 (1) "Free MCX Commodity Tips" "Free Commodity Tips" : 15.03.2017 (1) "Free MCX Commodity Tips" "Free Commodity Tips" : 16.03.2017 (1) "Free MCX Commodity Tips" "Free Commodity Tips" : 20.03.2017 (1) "Free MCX Commodity Tips" "Free Commodity Tips" : 22.03.2017 (1) "Free MCX Commodity Tips" "Free Commodity Tips" : 23.03.2017 (1) "Free MCX Commodity Tips" "Free Commodity Tips" : 28.02.2017 (1) * பங்கு சந்தைக்கு புதியவரா நீங்கள்? - Share Market Training (3) 01.08.2017 CURRENCY NET PROFIT 33 Paise ((HNI PACK)High Networth) (1) 01.08.2017 EQUITY CASH PROFIT ( PREMIUM CORPORATE PACK) (1) 01.08.2017 MCX COMMODITY PROFIT : Rs.29550(PREMIUM CORPORATE PACK) (1) 01.08.2017 STOCK FUTURE PROFIT : Rs.77900(PREMIUM CORPORATE PACK) (1) 01.08.2017 STOCK OPTION PROFIT : Rs.20800(PREMIUM CORPORATE PACK) (1) 01.09.2017 CURRENCY NET PROFIT 37 Paise ((HNI PACK)High Networth) (1) 01.09.2017 EQUITY CASH PROFIT ( PREMIUM CORPORATE PACK) (1) 01.09.2017 MCX COMMODITY PROFIT : Rs.26850(PREMIUM CORPORATE PACK) (1) 01.09.2017 STOCK FUTURE PROFIT : Rs.78200(PREMIUM CORPORATE PACK) (1) 01.09.2017 STOCK OPTION PROFIT : Rs.15200(PREMIUM CORPORATE PACK) (1) 02.08.2017 CURRENCY NET PROFIT 111 Paise ((HNI PACK)High Networth) (1) 02.08.2017 EQUITY CASH PROFIT ( PREMIUM CORPORATE PACK) (1) 02.08.2017 MCX COMMODITY PROFIT : Rs.38850(PREMIUM CORPORATE PACK) (1) 02.08.2017 STOCK FUTURE PROFIT : Rs.63800(PREMIUM CORPORATE PACK) (1) 02.08.2017 STOCK OPTION PROFIT : Rs.18200(PREMIUM CORPORATE PACK) (1) 03.07.2017 CURRENCY NET PROFIT 38 Paise ((HNI PACK)High Networth) (1) 03.07.2017 EQUITY CASH PROFIT ( PREMIUM CORPORATE PACK) (1) 03.07.2017 MCX COMMODITY PROFIT : Rs.50500(PREMIUM CORPORATE PACK) (1) 03.07.2017 STOCK FUTURE PROFIT : Rs.27000(PREMIUM CORPORATE PACK) (1) 03.07.2017 STOCK OPTION PROFIT : Rs.23200(PREMIUM CORPORATE PACK) (1) 03.08 PM (1) 03.08.2017 CURRENCY NET PROFIT 68 Paise ((HNI PACK)High Networth) (1) 03.08.2017 EQUITY CASH PROFIT ( PREMIUM CORPORATE PACK) (1) 03.08.2017 MCX COMMODITY PROFIT : Rs.15100(PREMIUM CORPORATE PACK) (1) 03.08.2017 STOCK FUTURE PROFIT : Rs.58800(PREMIUM CORPORATE PACK) (1) 03.08.2017 STOCK OPTION PROFIT : Rs.33200(PREMIUM CORPORATE PACK) (1) 04.07.2017 CURRENCY NET PROFIT 49Paise ((HNI PACK)High Networth) (1) 04.07.2017 EQUITY CASH PROFIT ( PREMIUM CORPORATE PACK) (1) 04.07.2017 STOCK FUTURE PROFIT : Rs.70100(PREMIUM CORPORATE PACK) (1) 04.07.2017 STOCK OPTION PROFIT : Rs.15600(PREMIUM CORPORATE PACK) (1) 04.08.2017 CURRENCY NET PROFIT 50 Paise ((HNI PACK)High Networth) (1) 04.08.2017 EQUITY CASH PROFIT ( PREMIUM CORPORATE PACK) (1) 04.08.2017 STOCK FUTURE PROFIT : Rs.97500(PREMIUM CORPORATE PACK) (1) 04.08.2017 STOCK OPTION PROFIT : Rs.42800(PREMIUM CORPORATE PACK) (1) 04.09.2017 CURRENCY NET PROFIT 87 Paise ((HNI PACK)High Networth) (1) 04.09.2017 EQUITY CASH PROFIT ( PREMIUM CORPORATE PACK) (1) 04.09.2017 MCX COMMODITY PROFIT : Rs.8460(PREMIUM CORPORATE PACK) (1) 04.09.2017 STOCK FUTURE PROFIT : Rs.79500(PREMIUM CORPORATE PACK) (1) 04.09.2017 STOCK OPTION PROFIT : Rs.10000(PREMIUM CORPORATE PACK) (1) 04.12.2018 - Currency|Cash|Nifty|Stock|Futures|Options|Commodity|Diamond Tips (1) 04.12.2018 : Currency|Cash|Nifty|Stock|Futures|Options|Commodity|Diamond Tips (1) 05.07.2017 CURRENCY NET PROFIT 52 Paise ((HNI PACK)High Networth) (1) 05.07.2017 EQUITY CASH PROFIT ( PREMIUM CORPORATE PACK) (1) 05.07.2017 MCX COMMODITY PROFIT : Rs.27300(PREMIUM CORPORATE PACK) (1) 05.07.2017 MCX COMMODITY PROFIT : Rs.39900(PREMIUM CORPORATE PACK) (1) 05.07.2017 STOCK FUTURE PROFIT : Rs.52000(PREMIUM CORPORATE PACK) (1) 05.07.2017 STOCK OPTION PROFIT : Rs.16400(PREMIUM CORPORATE PACK) (1) 05.09.2017 CURRENCY NET PROFIT 39 Paise ((HNI PACK)High Networth) (1) 05.09.2017 EQUITY CASH PROFIT ( PREMIUM CORPORATE PACK) (1) 05.09.2017 MCX COMMODITY PROFIT : Rs.24950PREMIUM CORPORATE PACK) (1) 05.09.2017 STOCK FUTURE PROFIT : Rs.61700(PREMIUM CORPORATE PACK) (1) 05.09.2017 STOCK OPTION PROFIT : Rs.9390(PREMIUM CORPORATE PACK) (1) 05.12.2018 - Currency|Cash|Nifty|Stock|Futures|Options|Commodity|Diamond Tips (1) 05.12.2018 : Currency|Cash|Nifty|Stock|Futures|Options|Commodity|Diamond Tips (1) 06.03.2017 EQUITY CASH PROFIT ( PREMIUM CORPORATE PACK) (1) 06.03.2017 STOCK FUTURE PROFIT : Rs.88100( PREMIUM CORPORATE PACK) (1) 06.03.2017 STOCK OPTION PROFIT : Rs.25700(PREMIUM CORPORATE PACK) (1) 06.04.2017 CURRENCY NET PROFIT 106 Paise ((HNI PACK)High Networth) (1) 06.04.2017 EQUITY CASH PROFIT ( PREMIUM CORPORATE PACK) (1) 06.04.2017 STOCK FUTURE PROFIT : Rs.169500(PREMIUM CORPORATE PACK) (1) 06.07.2017 CURRENCY NET PROFIT 57 Paise ((HNI PACK)High Networth) (1) 06.07.2017 EQUITY CASH PROFIT ( PREMIUM CORPORATE PACK) (1) 06.07.2017 MCX COMMODITY PROFIT : Rs.16000(PREMIUM CORPORATE PACK) (1) 06.07.2017 STOCK FUTURE PROFIT : Rs.73900(PREMIUM CORPORATE PACK) (1) 06.07.2017 STOCK OPTION PROFIT : Rs.30400(PREMIUM CORPORATE PACK) (1) 06.09.2017 CURRENCY NET PROFIT 44 Paise ((HNI PACK)High Networth) (1) 06.09.2017 EQUITY CASH PROFIT ( PREMIUM CORPORATE PACK) (1) 06.09.2017 MCX COMMODITY PROFIT : Rs.32100(PREMIUM CORPORATE PACK) (1) 06.09.2017 STOCK FUTURE PROFIT : Rs.51800(PREMIUM CORPORATE PACK) (1) 06.09.2017 STOCK OPTION PROFIT : Rs.13300(PREMIUM CORPORATE PACK) (1) 07.03.2017 EQUITY CASH PROFIT ( PREMIUM CORPORATE PACK) (1) 07.03.2017 STOCK FUTURE PROFIT : Rs.88400( PREMIUM CORPORATE PACK) (1) 07.03.2017 STOCK OPTION PROFIT : Rs.40100(PREMIUM CORPORATE PACK) (1) 07.04.2017 CURRENCY NET PROFIT 178 Paise ((HNI PACK)High Networth) (1) 07.04.2017 EQUITY CASH PROFIT ( PREMIUM CORPORATE PACK) (1) 07.04.2017 STOCK FUTURE PROFIT : Rs.118200(PREMIUM CORPORATE PACK) (1) 07.04.2017 STOCK OPTION PROFIT : Rs.66300(PREMIUM CORPORATE PACK) (1) 07.07.2017 CURRENCY NET PROFIT 66 Paise ((HNI PACK)High Networth) (1) 07.07.2017 EQUITY CASH PROFIT ( PREMIUM CORPORATE PACK) (1) 07.07.2017 MCX COMMODITY PROFIT : Rs.37800(PREMIUM CORPORATE PACK) (1) 07.07.2017 STOCK FUTURE PROFIT : Rs.73500(PREMIUM CORPORATE PACK) (1) 07.07.2017 STOCK OPTION PROFIT : Rs.23000(PREMIUM CORPORATE PACK) (1) 07.08.2017 MCX COMMODITY PROFIT : Rs.31700(PREMIUM CORPORATE PACK) (1) 07.09.2017 CURRENCY NET PROFIT 61 Paise ((HNI PACK)High Networth) (1) 07.09.2017 EQUITY CASH PROFIT ( PREMIUM CORPORATE PACK) (1) 07.09.2017 MCX COMMODITY PROFIT : Rs.32500(PREMIUM CORPORATE PACK) (1) 07.09.2017 STOCK FUTURE PROFIT : Rs.110100(PREMIUM CORPORATE PACK) (1) 07.09.2017 STOCK OPTION PROFIT : Rs.31800(PREMIUM CORPORATE PACK) (1) 08.03.2017 CURRENCY NET PROFIT 32 Paise ( PREMIUM CORPORATE PACK) (1) 08.03.2017 EQUITY CASH PROFIT ( PREMIUM CORPORATE PACK) (1) 08.03.2017 STOCK OPTION PROFIT : Rs.126700(PREMIUM CORPORATE PACK) (1) 08.03.2017 STOCK OPTION PROFIT : Rs.40500(PREMIUM CORPORATE PACK) (1) 08.08.2017 CURRENCY NET PROFIT 46 Paise ((HNI PACK)High Networth) (1) 08.08.2017 EQUITY CASH PROFIT ( PREMIUM CORPORATE PACK) (1) 08.08.2017 MCX COMMODITY PROFIT : Rs.36450(PREMIUM CORPORATE PACK) (1) 08.08.2017 STOCK FUTURE PROFIT : Rs.72820(PREMIUM CORPORATE PACK) (1) 08.08.2017 STOCK OPTION PROFIT : Rs.34500(PREMIUM CORPORATE PACK) (1) 08.09.2017 CURRENCY NET PROFIT 90 Paise ((HNI PACK)High Networth) (1) 08.09.2017 EQUITY CASH PROFIT ( PREMIUM CORPORATE PACK) (1) 08.09.2017 STOCK FUTURE PROFIT : Rs.73600(PREMIUM CORPORATE PACK) (1) 08.09.2017 STOCK OPTION PROFIT : Rs.21600(PREMIUM CORPORATE PACK) (1) 08.48 AM (1) 08.53 AM (1) 08.56 AM (1) 08.59 AM (1) 09.02 AM (2) 09.03 AM (1) 09.03.2017 CURRENCY NET PROFIT 48 Paise ( PREMIUM CORPORATE PACK) (1) 09.03.2017 EQUITY CASH PROFIT ( PREMIUM CORPORATE PACK) (1) 09.03.2017 STOCK OPTION PROFIT : Rs.10400(PREMIUM CORPORATE PACK) (1) 09.03.2017 STOCK OPTION PROFIT : Rs.80300(PREMIUM CORPORATE PACK) (1) 09.04 AM (1) 09.08.2017 CURRENCY NET PROFIT 49 Paise ((HNI PACK)High Networth) (1) 09.08.2017 EQUITY CASH PROFIT ( PREMIUM CORPORATE PACK) (1) 09.08.2017 MCX COMMODITY PROFIT : Rs.38100(PREMIUM CORPORATE PACK) (1) 09.08.2017 STOCK FUTURE PROFIT : Rs.79400(PREMIUM CORPORATE PACK) (1) 09.08.2017 STOCK OPTION PROFIT : Rs.30700(PREMIUM CORPORATE PACK) (1) 09.21 AM (1) 09.28 AM (1) 09.3.2017 COMMODITY PROFIT : Rs.12300( PREMIUM CORPORATE PACK) (1) 09.44 AM (1) 09.51 AM (6) 1.Jul.2016 - FREE INTEREST RATE FUTURES TIPS (1) 10 Paise Profit (Daily) in Currency Market (Basic Pack) (9) 10-year bond yields to trade with upward bias: 23.09.2016 (1) 10-year yield to trade between 6.71-6.76% : 09.02.2017 (1) 10-year yield to trade between 6.82-6.87%:7.11.2016 (1) 10-year yield to trade between 7-7.12%: 21.09.2016 (1) 10-year yield to trade in 6.25-6.40% range: 28.11.2016 (1) 10-year yield to trade in 6.37-6.41% range : 12.01.2017 (1) 10-year yield to trade in 6.71-6.81% range:26/10/2016 (1) 10-year yield to trade in 7.05-7.12% range : 14.09.2016 (1) 10-year yield to trade in range 6.41-6.46%: 21.11.2016 (1) 10-year yield to trade in range 6.71-6.77% : 10.10.2016 (1) 10-year yield to trade neutral to slightly positive: 20.09.2016 (1) 10.03.2017 EQUITY CASH PROFIT ( PREMIUM CORPORATE PACK) (1) 10.04.2017 CURRENCY NET PROFIT 125 Paise ((HNI PACK)High Networth) (1) 10.07.2017 CURRENCY NET PROFIT 28 Paise ((HNI PACK)High Networth) (1) 10.07.2017 EQUITY CASH PROFIT ( PREMIUM CORPORATE PACK) (1) 10.07.2017 STOCK FUTURE PROFIT : Rs.63900(PREMIUM CORPORATE PACK) (1) 10.07.2017 STOCK OPTION PROFIT : Rs.5800(PREMIUM CORPORATE PACK) (1) 10.08.2017 CURRENCY NET PROFIT 51 Paise ((HNI PACK)High Networth) (1) 10.08.2017 EQUITY CASH PROFIT ( PREMIUM CORPORATE PACK) (1) 10.08.2017 MCX COMMODITY PROFIT : Rs.46000(PREMIUM CORPORATE PACK) (1) 10.08.2017 STOCK FUTURE PROFIT : Rs.117100(PREMIUM CORPORATE PACK) (1) 10.08.2017 STOCK OPTION PROFIT : Rs.67300(PREMIUM CORPORATE PACK) (1) 10.3.2017 CURRENCY NET PROFIT 33 Paise ( PREMIUM CORPORATE PACK) (1) 10.3.2017 STOCK FUTURE PROFIT : Rs 101700( PREMIUM CORPORATE PACK) (1) 10.3.2017 STOCK OPTION PROFIT : Rs.16800(PREMIUM CORPORATE PACK) (1) 10.37 AM (1) 10.May.2018 (1) 10th Session (1) 10th Session: 20.Apr.2015 (1) 11.04.2017 CURRENCY NET PROFIT 80 Paise ((HNI PACK)High Networth) (1) 11.04.2017 EQUITY CASH PROFIT ( PREMIUM CORPORATE PACK) (1) 11.04.2017 STOCK FUTURE PROFIT : Rs.101000(PREMIUM CORPORATE PACK) (1) 11.04.2017 STOCK OPTION PROFIT : Rs.57700(PREMIUM CORPORATE PACK) (1) 11.07.2017 MCX COMMODITY PROFIT : Rs.47600(PREMIUM CORPORATE PACK) (1) 11.08.2017 CURRENCY NET PROFIT 47 Paise ((HNI PACK)High Networth) (1) 11.08.2017 EQUITY CASH PROFIT ( PREMIUM CORPORATE PACK) (1) 11.08.2017 MCX COMMODITY PROFIT : Rs.17590(PREMIUM CORPORATE PACK) (1) 11.08.2017 STOCK FUTURE PROFIT : Rs.84700(PREMIUM CORPORATE PACK) (1) 11.08.2017 STOCK OPTION PROFIT : Rs.52800(PREMIUM CORPORATE PACK) (1) 11.09.2017 MCX COMMODITY PROFIT : Rs.31800(PREMIUM CORPORATE PACK) (1) 11.May.2018 (1) 12.07.2017 CURRENCY NET PROFIT 61 Paise ((HNI PACK)High Networth) (1) 12.07.2017 EQUITY CASH PROFIT ( PREMIUM CORPORATE PACK) (1) 12.07.2017 MCX COMMODITY PROFIT : Rs.28500(PREMIUM CORPORATE PACK) (1) 12.07.2017 STOCK FUTURE PROFIT : Rs.59900(PREMIUM CORPORATE PACK) (1) 12.07.2017 STOCK OPTION PROFIT : Rs.46800(PREMIUM CORPORATE PACK) (1) 12.09.2017 CURRENCY NET PROFIT 61 Paise ((HNI PACK)High Networth) (1) 12.09.2017 EQUITY CASH PROFIT ( PREMIUM CORPORATE PACK) (1) 12.09.2017 MCX COMMODITY PROFIT : Rs.42600(PREMIUM CORPORATE PACK) (1) 12.09.2017 STOCK FUTURE PROFIT : Rs.54400(PREMIUM CORPORATE PACK) (1) 12.09.2017 STOCK OPTION PROFIT : Rs.25800(PREMIUM CORPORATE PACK) (1) 12.Jul.2016 - FREE INTEREST RATE FUTURES TIPS (1) 13.07.2017 CURRENCY NET PROFIT 47 Paise ((HNI PACK)High Networth) (1) 13.07.2017 EQUITY CASH PROFIT ( PREMIUM CORPORATE PACK) (1) 13.07.2017 MCX COMMODITY PROFIT : Rs.12600(PREMIUM CORPORATE PACK) (1) 13.07.2017 STOCK FUTURE PROFIT : Rs.50200(PREMIUM CORPORATE PACK) (1) 13.07.2017 STOCK OPTION PROFIT : Rs.31000 (PREMIUM CORPORATE PACK) (1) 13.09.2017 CURRENCY NET PROFIT 40 Paise ((HNI PACK)High Networth) (1) 13.09.2017 EQUITY CASH PROFIT ( PREMIUM CORPORATE PACK) (1) 13.09.2017 MCX COMMODITY PROFIT : Rs.28810(PREMIUM CORPORATE PACK) (1) 13.09.2017 STOCK FUTURE PROFIT : Rs.82300(PREMIUM CORPORATE PACK) (1) 13.09.2017 STOCK OPTION PROFIT : Rs.25700(PREMIUM CORPORATE PACK) (1) 13.Jul.2016 - FREE INTEREST RATE FUTURES TIPS (1) 14.07.2017 CURRENCY NET PROFIT 39 Paise ((HNI PACK)High Networth) (1) 14.07.2017 EQUITY CASH PROFIT ( PREMIUM CORPORATE PACK) (1) 14.07.2017 MCX COMMODITY PROFIT : Rs.39200(PREMIUM CORPORATE PACK) (1) 14.07.2017 STOCK FUTURE PROFIT : Rs.80700(PREMIUM CORPORATE PACK) (1) 14.07.2017 STOCK OPTION PROFIT : Rs.28800(PREMIUM CORPORATE PACK) (1) 14.08.2017 CURRENCY NET PROFIT 38 Paise ((HNI PACK)High Networth) (1) 14.08.2017 EQUITY CASH PROFIT ( PREMIUM CORPORATE PACK) (1) 14.08.2017 MCX COMMODITY PROFIT : Rs.14925(PREMIUM CORPORATE PACK) (1) 14.08.2017 STOCK FUTURE PROFIT : Rs.78500(PREMIUM CORPORATE PACK) (1) 14.08.2017 STOCK OPTION PROFIT : Rs.38400(PREMIUM CORPORATE PACK) (1) 14.09.2017 CURRENCY NET PROFIT 56 Paise ((HNI PACK)High Networth) (1) 14.09.2017 EQUITY CASH PROFIT ( PREMIUM CORPORATE PACK) (1) 14.09.2017 MCX COMMODITY PROFIT : Rs.30400(PREMIUM CORPORATE PACK) (1) 14.09.2017 STOCK FUTURE PROFIT : Rs.66700(PREMIUM CORPORATE PACK) (1) 14.09.2017 STOCK OPTION PROFIT : Rs.57300(PREMIUM CORPORATE PACK) (1) 14.3.2017 CURRENCY NET PROFIT 115 Paise ( PREMIUM CORPORATE PACK) (1) 15.09.2017 CURRENCY NET PROFIT 101 Paise ((HNI PACK)High Networth) (1) 15.09.2017 EQUITY CASH PROFIT ( PREMIUM CORPORATE PACK) (1) 15.09.2017 STOCK FUTURE PROFIT : Rs.70000(PREMIUM CORPORATE PACK) (1) 15.09.2017 STOCK OPTION PROFIT : Rs.17900(PREMIUM CORPORATE PACK) (1) 15.3.2017 COMMODITY PROFIT : Rs.65500( PREMIUM CORPORATE PACK) (1) 15.May.2018 (1) 16.03.2017 EQUITY CASH PROFIT ( PREMIUM CORPORATE PACK) (1) 16.03.2017 STOCK FUTURE PROFIT : Rs 160100( PREMIUM CORPORATE PACK) (1) 16.08.2017 CURRENCY NET PROFIT 66 Paise ((HNI PACK)High Networth) (1) 16.08.2017 EQUITY CASH PROFIT ( PREMIUM CORPORATE PACK) (1) 16.08.2017 MCX COMMODITY PROFIT : Rs.47300(PREMIUM CORPORATE PACK) (1) 16.08.2017 STOCK FUTURE PROFIT : Rs.83600(PREMIUM CORPORATE PACK) (1) 16.08.2017 STOCK OPTION PROFIT : Rs.37500(PREMIUM CORPORATE PACK) (1) 16.3.2017 COMMODITY PROFIT : Rs.79950( PREMIUM CORPORATE PACK) (1) 16.3.2017 STOCK OPTION PROFIT : Rs 83800(PREMIUM CORPORATE PACK) (1) 17.04.2017 CURRENCY NET PROFIT 62 Paise ((HNI PACK)High Networth) (1) 17.04.2017 EQUITY CASH PROFIT ( PREMIUM CORPORATE PACK) (1) 17.04.2017 STOCK FUTURE PROFIT : Rs.87100(PREMIUM CORPORATE PACK) (1) 17.04.2017 STOCK OPTION PROFIT : Rs.64800(PREMIUM CORPORATE PACK) (1) 17.07.2017 CURRENCY NET PROFIT 45 Paise ((HNI PACK)High Networth) (1) 17.07.2017 EQUITY CASH PROFIT ( PREMIUM CORPORATE PACK) (1) 17.07.2017 STOCK FUTURE PROFIT : Rs.87000(PREMIUM CORPORATE PACK) (1) 17.07.2017 STOCK OPTION PROFIT : Rs.34200(PREMIUM CORPORATE PACK) (1) 17.08.2017 EQUITY CASH PROFIT ( PREMIUM CORPORATE PACK) (1) 17.08.2017 MCX COMMODITY PROFIT : Rs.45800(PREMIUM CORPORATE PACK) (1) 17.08.2017 STOCK FUTURE PROFIT : Rs.72800(PREMIUM CORPORATE PACK) (1) 17.08.2017 STOCK OPTION PROFIT : Rs.21100(PREMIUM CORPORATE PACK) (1) 18.04.2017 CURRENCY NET PROFIT 124 Paise ((HNI PACK)High Networth) (1) 18.04.2017 EQUITY CASH PROFIT ( PREMIUM CORPORATE PACK) (1) 18.04.2017 STOCK FUTURE PROFIT : Rs.89850(PREMIUM CORPORATE PACK) (1) 18.04.2017 STOCK OPTION PROFIT : Rs.106300(PREMIUM CORPORATE PACK) (1) 18.07.2017 CURRENCY NET PROFIT 60 Paise ((HNI PACK)High Networth) (1) 18.07.2017 EQUITY CASH PROFIT ( PREMIUM CORPORATE PACK) (1) 18.07.2017 MCX COMMODITY PROFIT : Rs.25500(PREMIUM CORPORATE PACK) (1) 18.07.2017 STOCK FUTURE PROFIT : Rs.92900(PREMIUM CORPORATE PACK) (1) 18.07.2017 STOCK OPTION PROFIT : Rs.55200(PREMIUM CORPORATE PACK) (1) 18.08.2017 CURRENCY NET PROFIT 42 Paise ((HNI PACK)High Networth) (1) 18.08.2017 EQUITY CASH PROFIT ( PREMIUM CORPORATE PACK) (1) 18.08.2017 MCX COMMODITY PROFIT : Rs.35400(PREMIUM CORPORATE PACK) (1) 18.08.2017 STOCK FUTURE PROFIT : Rs.69200(PREMIUM CORPORATE PACK) (1) 18.08.2017 STOCK OPTION PROFIT : Rs.20000(PREMIUM CORPORATE PACK) (1) 18.May.2018 (1) 19.07.2017 CURRENCY NET PROFIT 32 Paise ((HNI PACK)High Networth) (1) 19.07.2017 EQUITY CASH PROFIT ( PREMIUM CORPORATE PACK) (1) 19.07.2017 MCX COMMODITY PROFIT : Rs.27200(PREMIUM CORPORATE PACK) (1) 19.07.2017 STOCK FUTURE PROFIT : Rs.66600(PREMIUM CORPORATE PACK) (1) 19.07.2017 STOCK OPTION PROFIT : Rs.55600(PREMIUM CORPORATE PACK) (1) 19.09.2017 CURRENCY NET PROFIT 63Paise ((HNI PACK)High Networth) (1) 19.09.2017 EQUITY CASH PROFIT ( PREMIUM CORPORATE PACK) (1) 19.09.2017 MCX COMMODITY PROFIT : Rs.47900(PREMIUM CORPORATE PACK) (1) 19.09.2017 STOCK FUTURE PROFIT : Rs.48600(PREMIUM CORPORATE PACK) (1) 1st Session: 19.JUNE.2017 (1) 1st Session : 01.January.2018 (1) 1st Session : 02.January.2018 (1) 1st Session : 03.January.2018 (1) 1st Session : 04.January.2018 (1) 1st Session : 05.January.2018 (1) 1st Session : 08.January.2018 (1) 1st Session : 09.January.2018 (1) 1st Session : 10.January.2018 (1) 1st Session : 11.January.2018 (1) 1st Session : 12.January.2018 (1) 1st Session : 15.January.2018 (1) 1st Session : 16.January.2018 (1) 1st Session : 17.January.2018 (1) 1st Session : 18.December.2017 (1) 1st Session : 18.January.2018 (1) 1st Session : 19.December.2017 (1) 1st Session : 19.January.2018 (1) 1st Session : 20.December.2017 (1) 1st Session : 21.December.2017 (1) 1st Session : 22.December.2017 (1) 1st Session : 23.January.2018 (1) 1st Session : 24.January.2018 (1) 1st Session : 25.January.2018 (1) 1st Session : 26.December.2017 (1) 1st Session : 27.December.2017 (1) 1st Session : 28.December.2017 (1) 1st Session : 29.December.2017 (1) 1st Session: 01.September.2017 (1) 1st Session: 07.APR.2017 (2) 1st Session: 1.August.2017 (1) 1st Session: 1.August.2018 (1) 1st Session: 1.Dec.2015 (1) 1st Session: 1.February.2018 (1) 1st Session: 1.JUNE.2017 (1) 1st Session: 1.June.2018 (1) 1st Session: 1.March.2018 (1) 1st Session: 1.November.2017 (1) 1st Session: 1.November.2018 (1) 1st Session: 1.October.2018 (1) 1st Session: 10.APR.2017 (1) 1st Session: 10.April.2018 (1) 1st Session: 10.August.2017 (1) 1st Session: 10.August.2018 (1) 1st Session: 10.July.2017 (1) 1st Session: 10.July.2018 (1) 1st Session: 10.May.2018 (1) 1st Session: 10.November.2017 (1) 1st Session: 10.October.2017 (1) 1st Session: 10.September.2018 (1) 1st Session: 11.APR.2017 (1) 1st Session: 11.April.2018 (1) 1st Session: 11.August.2017 (1) 1st Session: 11.July.2017 (1) 1st Session: 11.July.2018 (1) 1st Session: 11.June.2018 (1) 1st Session: 11.MAY.2017 (1) 1st Session: 11.May.2018 (1) 1st Session: 11.October.2017 (1) 1st Session: 11.October.2018 (1) 1st Session: 11.September.2017 (1) 1st Session: 11.September.2018 (1) 1st Session: 12.APR.2017 (1) 1st Session: 12.April.2018 (1) 1st Session: 12.February.2018 (1) 1st Session: 12.July.2017 (1) 1st Session: 12.July.2018 (1) 1st Session: 12.JUNE.2017 (1) 1st Session: 12.June.2018 (1) 1st Session: 12.March.2018 (1) 1st Session: 12.November.2018 (1) 1st Session: 12.October.2017 (1) 1st Session: 12.October.2018 (1) 1st Session: 12.September.2017 (1) 1st Session: 12.September.2018 (1) 1st Session: 13.APR.2017 (2) 1st Session: 13.April.2018 (1) 1st Session: 13.August.2018 (1) 1st Session: 13.July.2017 (1) 1st Session: 13.July.2018 (1) 1st Session: 13.JUNE.2017 (1) 1st Session: 13.June.2018 (1) 1st Session: 13.March.2018 (1) 1st Session: 13.November.2017 (1) 1st Session: 13.November.2018 (1) 1st Session: 13.October.2017 (1) 1st Session: 13.September.2017 (1) 1st Session: 14.August.2017 (1) 1st Session: 14.August.2018 (1) 1st Session: 14.February.2018 (1) 1st Session: 14.July.2017 (1) 1st Session: 14.JUNE.2017 (1) 1st Session: 14.June.2018 (1) 1st Session: 14.March.2018 (1) 1st Session: 14.May.2018 (1) 1st Session: 14.November.2017 (1) 1st Session: 14.November.2018 (1) 1st Session: 14.September.2017 (1) 1st Session: 14.September.2018 (1) 1st Session: 15.February.2018 (1) 1st Session: 15.JUNE.2017 (1) 1st Session: 15.March.2018 (1) 1st Session: 15.MAY.2017 (1) 1st Session: 15.May.2018 (1) 1st Session: 15.November.2017 (1) 1st Session: 15.November.2018 (1) 1st Session: 15.October.2018 (1) 1st Session: 15.September.2017 (1) 1st Session: 16.April.2018 (1) 1st Session: 16.August.2017 (1) 1st Session: 16.August.2018 (1) 1st Session: 16.February.2018 (1) 1st Session: 16.July.2018 (1) 1st Session: 16.JUNE.2017 (1) 1st Session: 16.March.2018 (1) 1st Session: 16.May.2018 (1) 1st Session: 16.November.2018 (1) 1st Session: 16.October.2017 (1) 1st Session: 16.October.2018 (1) 1st Session: 17.APR.2017 (2) 1st Session: 17.April.2018 (1) 1st Session: 17.July.2017 (1) 1st Session: 17.July.2018 (1) 1st Session: 17.May.2018 (1) 1st Session: 17.November.2017 (1) 1st Session: 17.October.2017 (1) 1st Session: 17.October.2018 (1) 1st Session: 17.September.2018 (1) 1st Session: 18.APR.2017 (2) 1st Session: 18.April.2018 (1) 1st Session: 18.August.2017 (1) 1st Session: 18.July.2017 (1) 1st Session: 18.July.2018 (1) 1st Session: 18.June.2018 (1) 1st Session: 18.May.2018 (1) 1st Session: 18.October.2017 (1) 1st Session: 18.September.2017 (1) 1st Session: 18.September.2018 (1) 1st Session: 19.APR.2017 (2) 1st Session: 19.April.2018 (1) 1st Session: 19.July.2017 (1) 1st Session: 19.July.2018 (1) 1st Session: 19.June.2018 (1) 1st Session: 19.March.2018 (1) 1st Session: 19.MAY.2017 (1) 1st Session: 19.November.2018 (1) 1st Session: 19.October.2018 (1) 1st Session: 19.September.2017 (1) 1st Session: 19.September.2018 (1) 1st Session: 2.August.2017 (1) 1st Session: 2.August.2018 (1) 1st Session: 2.February.2018 (1) 1st Session: 2.JUNE.2017 (1) 1st Session: 2.MAY.2017 (1) 1st Session: 2.May.2018 (1) 1st Session: 2.November.2017 (1) 1st Session: 2.November.2018 (1) 1st Session: 20.APR.2017 (2) 1st Session: 20.April.2018 (1) 1st Session: 20.August.2018 (1) 1st Session: 20.February.2018 (1) 1st Session: 20.July.2017 (1) 1st Session: 20.JUNE.2017 (1) 1st Session: 20.June.2018 (1) 1st Session: 20.March.2018 (1) 1st Session: 20.November.2017 (1) 1st Session: 20.November.2018 (1) 1st Session: 20.September.2017 (1) 1st Session: 21.APR.2017 (1) 1st Session: 21.August.2017 (1) 1st Session: 21.February.2018 (1) 1st Session: 21.July.2017 (1) 1st Session: 21.JUNE.2017 (1) 1st Session: 21.June.2018 (1) 1st Session: 21.March.2018 (1) 1st Session: 21.May.2018 (1) 1st Session: 21.November.2017 (1) 1st Session: 21.September.2017 (1) 1st Session: 21.September.2018 (1) 1st Session: 22.August.2017 (1) 1st Session: 22.February.2018 (1) 1st Session: 22.JUNE.2017 (1) 1st Session: 22.March.2018 (1) 1st Session: 22.MAY.2017 (1) 1st Session: 22.November.2017 (1) 1st Session: 22.November.2018 (1) 1st Session: 22.October.2018 (1) 1st Session: 22.September.2017 (1) 1st Session: 23.April.2018 (1) 1st Session: 23.August.2017 (1) 1st Session: 23.August.2018 (1) 1st Session: 23.February.2018 (1) 1st Session: 23.July.2018 (1) 1st Session: 23.JUNE.2017 (1) 1st Session: 23.March.2018 (1) 1st Session: 23.MAY.2017 (1) 1st Session: 23.May.2018 (1) 1st Session: 23.November.2017 (1) 1st Session: 23.October.2017 (1) 1st Session: 23.October.2018 (1) 1st Session: 24.APR.2017 (1) 1st Session: 24.April.2018 (1) 1st Session: 24.August.2017 (1) 1st Session: 24.August.2018 (1) 1st Session: 24.July.2017 (1) 1st Session: 24.July.2018 (1) 1st Session: 24.March.2018 (1) 1st Session: 24.MAY.2017 (1) 1st Session: 24.November.2017 (1) 1st Session: 24.October.2017 (1) 1st Session: 24.October.2018 (1) 1st Session: 24.September.2018 (1) 1st Session: 25.APR.2017 (1) 1st Session: 25.April.2018 (1) 1st Session: 25.July.2017 (1) 1st Session: 25.July.2018 (1) 1st Session: 25.June.2018 (1) 1st Session: 25.MAY.2017 (1) 1st Session: 25.May.2018 (1) 1st Session: 25.October.2017 (1) 1st Session: 25.October.2018 (1) 1st Session: 25.September.2017 (1) 1st Session: 25.September.2018 (1) 1st Session: 26.APR.2017 (1) 1st Session: 26.April.2018 (1) 1st Session: 26.February.2018 (1) 1st Session: 26.July.2017 (1) 1st Session: 26.July.2018 (1) 1st Session: 26.June.2018 (1) 1st Session: 26.March.2018 (1) 1st Session: 26.MAY.2017 (1) 1st Session: 26.November.2018 (1) 1st Session: 26.October.2017 (1) 1st Session: 26.October.2018 (1) 1st Session: 26.September.2017 (1) 1st Session: 26.September.2018 (1) 1st Session: 27.APR.2017 (1) 1st Session: 27.April.2018 (1) 1st Session: 27.February.2018 (1) 1st Session: 27.July.2017 (1) 1st Session: 27.July.2018 (1) 1st Session: 27.JUNE.2017 (1) 1st Session: 27.June.2018 (1) 1st Session: 27.March.2018 (1) 1st Session: 27.November.2017 (1) 1st Session: 27.November.2018 (1) 1st Session: 27.October.2017 (1) 1st Session: 27.September.2017 (1) 1st Session: 27.September.2018 (1) 1st Session: 28.APR.2017 (1) 1st Session: 28.August.2017 (1) 1st Session: 28.August.2018 (1) 1st Session: 28.February.2018 (1) 1st Session: 28.July.2017 (1) 1st Session: 28.JUNE.2017 (1) 1st Session: 28.June.2018 (1) 1st Session: 28.March.2018 (1) 1st Session: 28.November.2017 (1) 1st Session: 28.November.2018 (1) 1st Session: 28.September.2017 (1) 1st Session: 28.September.2018 (1) 1st Session: 29.August.2017 (2) 1st Session: 29.January.2018 (1) 1st Session: 29.JUNE.2017 (1) 1st Session: 29.June.2018 (1) 1st Session: 29.MAY.2017 (1) 1st Session: 29.November.2017 (1) 1st Session: 29.November.2018 (1) 1st Session: 29.October.2018 (1) 1st Session: 29.September.2017 (1) 1st Session: 3.April.2018 (1) 1st Session: 3.August.2017 (1) 1st Session: 3.August.2018 (1) 1st Session: 3.December.2018 (1) 1st Session: 3.July.2017 (1) 1st Session: 3.July.2018 (1) 1st Session: 3.MAY.2017 (1) 1st Session: 3.May.2018 (1) 1st Session: 3.October.2017 (1) 1st Session: 3.October.2018 (1) 1st Session: 3.September.2018 (1) 1st Session: 30.August.2018 (1) 1st Session: 30.January.2018 (1) 1st Session: 30.July.2018 (1) 1st Session: 30.JUNE.2017 (1) 1st Session: 30.MAY.2017 (1) 1st Session: 30.May.2018 (1) 1st Session: 30.November.2017 (1) 1st Session: 30.November.2018 (1) 1st Session: 30.October.2017 (1) 1st Session: 30.October.2018 (1) 1st Session: 31.August.2017 (1) 1st Session: 31.August.2018 (1) 1st Session: 31.January.2018 (1) 1st Session: 31.July.2017 (1) 1st Session: 31.July.2018 (1) 1st Session: 31.MAY.2017 (1) 1st Session: 31.May.2018 (1) 1st Session: 31.October.2017 (1) 1st Session: 31.October.2018 (1) 1st Session: 4.April.2018 (1) 1st Session: 4.August.2017 (1) 1st Session: 4.December.2018 (1) 1st Session: 4.July.2017 (1) 1st Session: 4.July.2018 (1) 1st Session: 4.June.2018 (1) 1st Session: 4.MAY.2017 (1) 1st Session: 4.May.2018 (1) 1st Session: 4.November.2017 (1) 1st Session: 4.October.2017 (1) 1st Session: 4.September.2017 (1) 1st Session: 5.4.2017 (1) 1st Session: 5.April.2018 (1) 1st Session: 5.December.2018 (1) 1st Session: 5.February.2018 (1) 1st Session: 5.July.2017 (1) 1st Session: 5.July.2018 (1) 1st Session: 5.JUNE.2017 (1) 1st Session: 5.June.2018 (1) 1st Session: 5.March.2018 (1) 1st Session: 5.MAY.2017 (1) 1st Session: 5.November.2017 (1) 1st Session: 5.November.2018 (1) 1st Session: 5.October.2017 (1) 1st Session: 5.October.2018 (1) 1st Session: 5.September.2017 (1) 1st Session: 6.4.2017 (1) 1st Session: 6.April.2018 (1) 1st Session: 6.August.2018 (1) 1st Session: 6.December.2017 (1) 1st Session: 6.December.2018 (1) 1st Session: 6.February.2018 (1) 1st Session: 6.July.2017 (1) 1st Session: 6.July.2018 (1) 1st Session: 6.JUNE.2017 (1) 1st Session: 6.June.2018 (1) 1st Session: 6.March.2018 (1) 1st Session: 6.November.2017 (1) 1st Session: 6.October.2017 (1) 1st Session: 6.September.2017 (1) 1st Session: 6.September.2018 (1) 1st Session: 7.August.2017 (1) 1st Session: 7.August.2018 (1) 1st Session: 7.December.2017 (1) 1st Session: 7.February.2018 (1) 1st Session: 7.July.2017 (1) 1st Session: 7.JUNE.2017 (1) 1st Session: 7.June.2018 (1) 1st Session: 7.March.2018 (1) 1st Session: 7.May.2018 (1) 1st Session: 7.November.2017 (1) 1st Session: 7.September.2017 (1) 1st Session: 7.September.2018 (1) 1st Session: 8.August.2017 (1) 1st Session: 8.December.2017 (1) 1st Session: 8.February.2018 (1) 1st Session: 8.JUNE.2017 (1) 1st Session: 8.March.2018 (1) 1st Session: 8.MAY.2017 (1) 1st Session: 8.May.2018 (1) 1st Session: 8.November.2017 (1) 1st Session: 8.October.2018 (1) 1st Session: 8.September.2017 (1) 1st Session: 9.April.2018 (1) 1st Session: 9.August.2017 (1) 1st Session: 9.August.2018 (1) 1st Session: 9.February.2018 (1) 1st Session: 9.July.2018 (1) 1st Session: 9.JUNE.2017 (1) 1st Session: 9.March.2018 (1) 1st Session: 9.MAY.2017 (1) 1st Session: 9.May.2018 (1) 1st Session: 9.November.2017 (1) 1st Session: 9.November.2018 (1) 1st Session: 9.October.2017 (1) 1st Session: 9.October.2018 (1) 1th Session: 12.MAY.2017 (1) 2 days Free Currency Calls for : Whatsapp - 9841986753 (1) 2 days Free Currency Calls for : Whatsapp : 9841986753 (1) 2 Days Free Currency Tips - Join Our Whatsapp : 9841986753 (1) 2 days Free Currency Tips for : Whatsapp : 9841986753 (5) 2 days Free Stock Futures Tips - Whatsapp - 9094047040 (1) 2 days Free Stock Options Tips - Whatsapp - 9841986753 (1) 2 days Free USDINR Currency Futures Tips : 9094047040 (1) 2 days Trial Currency Futures Tips : 9094047040 (1) 2 days Trial EURNR Futures Tips : 9841986753 (1) 2 days Trial EURUSD Futures Tips : 9094047040 (1) 2 days Trial GBPINR Futures Tips : 9841986753 (1) 2 days Trial JPYINR Futures Tips : 9094047040 (1) 2 days Trial USDINR Futures Tips : 9841986753 (1) 20 Best Equity Stocks for Intraday Trading Today (1) 20 Paise Profit (Daily) in Currency Market (Premium Pack) (27) 20.07.2017 CURRENCY NET PROFIT 58 Paise ((HNI PACK)High Networth) (1) 20.07.2017 EQUITY CASH PROFIT ( PREMIUM CORPORATE PACK) (1) 20.07.2017 MCX COMMODITY PROFIT : Rs.33900(PREMIUM CORPORATE PACK) (1) 20.07.2017 STOCK FUTURE PROFIT : Rs.80300(PREMIUM CORPORATE PACK) (1) 20.07.2017 STOCK OPTION PROFIT : Rs.31100(PREMIUM CORPORATE PACK) (1) 20.09.2017 CURRENCY NET PROFIT 70 Paise ((HNI PACK)High Networth) (1) 20.09.2017 EQUITY CASH PROFIT ( PREMIUM CORPORATE PACK) (1) 20.09.2017 MCX COMMODITY PROFIT : Rs.19400 PREMIUM CORPORATE PACK) (1) 20.09.2017 MCX COMMODITY PROFIT : Rs.35700(PREMIUM CORPORATE PACK) (1) 20.09.2017 STOCK FUTURE PROFIT : Rs.65700(PREMIUM CORPORATE PACK) (1) 20.09.2017 STOCK OPTION PROFIT : Rs.37100(PREMIUM CORPORATE PACK) (1) 20.3.2017 COMMODITY PROFIT : Rs.61810( PREMIUM CORPORATE PACK) (1) 2016 (20) 2016 09.26 AM (1) 21.06.2017 MCX COMMODITY PROFIT : Rs.34700(PREMIUM CORPORATE PACK) (1) 21.07.2017 CURRENCY NET PROFIT 36 Paise ((HNI PACK)High Networth) (1) 21.07.2017 EQUITY CASH PROFIT ( PREMIUM CORPORATE PACK) (1) 21.07.2017 MCX COMMODITY PROFIT : Rs.28450(PREMIUM CORPORATE PACK) (1) 21.07.2017 STOCK FUTURE PROFIT : Rs.75100(PREMIUM CORPORATE PACK) (1) 21.07.2017 STOCK OPTION PROFIT : Rs.38300(PREMIUM CORPORATE PACK) (1) 21.08.2017 CURRENCY NET PROFIT 75 Paise ((HNI PACK)High Networth) (1) 21.08.2017 EQUITY CASH PROFIT ( PREMIUM CORPORATE PACK) (1) 21.08.2017 MCX COMMODITY PROFIT : Rs.60300(PREMIUM CORPORATE PACK) (1) 21.08.2017 STOCK FUTURE PROFIT : Rs.64900(PREMIUM CORPORATE PACK) (1) 21.08.2017 STOCK OPTION PROFIT : Rs.48900(PREMIUM CORPORATE PACK) (1) 21.09.2017 CURRENCY NET PROFIT 99 Paise ((HNI PACK)High Networth) (1) 21.09.2017 EQUITY CASH PROFIT ( PREMIUM CORPORATE PACK) (1) 21.09.2017 MCX COMMODITY PROFIT : Rs.47600 PREMIUM CORPORATE PACK) (1) 21.09.2017 STOCK FUTURE PROFIT : Rs.76800(PREMIUM CORPORATE PACK) (1) 21.09.2017 STOCK OPTION PROFIT : Rs.29300 (PREMIUM CORPORATE PACK) (1) 21.May.2018 (1) 22.06.2017 CURRENCY NET PROFIT 41 Paise ((HNI PACK)High Networth) (1) 22.06.2017 EQUITY CASH PROFIT ( PREMIUM CORPORATE PACK) (1) 22.06.2017 MCX COMMODITY PROFIT : Rs.15950(PREMIUM CORPORATE PACK) (1) 22.06.2017 STOCK FUTURE PROFIT : Rs.57100(PREMIUM CORPORATE PACK) (1) 22.06.2017 STOCK OPTION PROFIT : Rs.35000(PREMIUM CORPORATE PACK) (1) 22.08.2017 CURRENCY NET PROFIT 53 Paise ((HNI PACK)High Networth) (1) 22.08.2017 EQUITY CASH PROFIT ( PREMIUM CORPORATE PACK) (1) 22.08.2017 MCX COMMODITY PROFIT : Rs.24800(PREMIUM CORPORATE PACK) (1) 22.08.2017 STOCK FUTURE PROFIT : Rs.74100(PREMIUM CORPORATE PACK) (1) 22.08.2017 STOCK OPTION PROFIT : Rs.19700(PREMIUM CORPORATE PACK) (1) 22.09.2017 CURRENCY NET PROFIT 78 Paise ((HNI PACK)High Networth) (1) 22.09.2017 EQUITY CASH PROFIT ( PREMIUM CORPORATE PACK) (1) 22.09.2017 MCX COMMODITY PROFIT : Rs.24300PREMIUM CORPORATE PACK) (1) 22.09.2017 STOCK FUTURE PROFIT : Rs.99500(PREMIUM CORPORATE PACK) (1) 22.09.2017 STOCK OPTION PROFIT : Rs.48400(PREMIUM CORPORATE PACK) (1) 22.3.2017 COMMODITY PROFIT : Rs.68700( PREMIUM CORPORATE PACK) (1) 23.06.2017 CURRENCY NET PROFIT 42 Paise ((HNI PACK)High Networth) (1) 23.06.2017 EQUITY CASH PROFIT ( PREMIUM CORPORATE PACK) (1) 23.06.2017 MCX COMMODITY PROFIT : Rs.25320(PREMIUM CORPORATE PACK) (1) 23.06.2017 STOCK FUTURE PROFIT : Rs.94500(PREMIUM CORPORATE PACK) (1) 23.06.2017 STOCK OPTION PROFIT : Rs.57900(PREMIUM CORPORATE PACK) (1) 23.08.2017 CURRENCY NET PROFIT 30 Paise ((HNI PACK)High Networth) (1) 23.08.2017 EQUITY CASH PROFIT ( PREMIUM CORPORATE PACK) (1) 23.08.2017 MCX COMMODITY PROFIT : Rs.27500(PREMIUM CORPORATE PACK) (1) 23.08.2017 STOCK FUTURE PROFIT : Rs.78000(PREMIUM CORPORATE PACK) (1) 23.08.2017 STOCK OPTION PROFIT : Rs.34900(PREMIUM CORPORATE PACK) (1) 23.3.2017 COMMODITY PROFIT : Rs.64100( PREMIUM CORPORATE PACK) (1) 23.3.2017 STOCK OPTION PROFIT : Rs.37900(PREMIUM CORPORATE PACK) (1) 23.May.2018 (1) 24.07.2017 CURRENCY NET PROFIT 51 Paise ((HNI PACK)High Networth) (1) 24.07.2017 EQUITY CASH PROFIT ( PREMIUM CORPORATE PACK) (1) 24.07.2017 MCX COMMODITY PROFIT : Rs.18900(PREMIUM CORPORATE PACK) (1) 24.07.2017 STOCK FUTURE PROFIT : Rs.76100(PREMIUM CORPORATE PACK) (1) 24.07.2017 STOCK OPTION PROFIT : Rs.38600(PREMIUM CORPORATE PACK) (1) 24.08.2017 CURRENCY NET PROFIT 37 Paise ((HNI PACK)High Networth) (1) 24.08.2017 EQUITY CASH PROFIT ( PREMIUM CORPORATE PACK) (1) 24.08.2017 MCX COMMODITY PROFIT : Rs.31900(PREMIUM CORPORATE PACK) (1) 24.08.2017 STOCK FUTURE PROFIT : Rs.58500(PREMIUM CORPORATE PACK) (1) 24.08.2017 STOCK OPTION PROFIT : Rs.23800(PREMIUM CORPORATE PACK) (1) 24.3.2017 COMMODITY PROFIT : Rs.54200( PREMIUM CORPORATE PACK) (1) 24.May.2018 (1) 25.07.2017 CURRENCY NET PROFIT 31 Paise ((HNI PACK)High Networth) (1) 25.07.2017 EQUITY CASH PROFIT ( PREMIUM CORPORATE PACK) (1) 25.07.2017 MCX COMMODITY PROFIT : Rs.47400(PREMIUM CORPORATE PACK) (1) 25.07.2017 STOCK FUTURE PROFIT : Rs.60700(PREMIUM CORPORATE PACK) (1) 25.07.2017 STOCK OPTION PROFIT : Rs.50200(PREMIUM CORPORATE PACK) (1) 25.09.2017 CURRENCY NET PROFIT 95 Paise ((HNI PACK)High Networth) (1) 25.09.2017 EQUITY CASH PROFIT ( PREMIUM CORPORATE PACK) (1) 25.09.2017 STOCK FUTURE PROFIT : Rs.73200(PREMIUM CORPORATE PACK) (1) 25.09.2017 STOCK OPTION PROFIT : Rs.23800(PREMIUM CORPORATE PACK) (1) 25.May.2018 (4) 26.07.2017 CURRENCY NET PROFIT 28 Paise ((HNI PACK)High Networth) (1) 26.07.2017 EQUITY CASH PROFIT ( PREMIUM CORPORATE PACK) (1) 26.07.2017 MCX COMMODITY PROFIT : Rs.15250(PREMIUM CORPORATE PACK) (1) 26.07.2017 STOCK FUTURE PROFIT : Rs.81300(PREMIUM CORPORATE PACK) (1) 26.07.2017 STOCK OPTION PROFIT : Rs.38800(PREMIUM CORPORATE PACK) (1) 27.04.2017 EQUITY CASH PROFIT ( PREMIUM CORPORATE PACK) (1) 27.04.2017 STOCK FUTURE PROFIT : Rs.108500(PREMIUM CORPORATE PACK) (1) 27.04.2017 STOCK OPTION PROFIT : Rs.97500(PREMIUM CORPORATE PACK) (1) 27.06.2017 CURRENCY NET PROFIT 82 Paise ((HNI PACK)High Networth) (1) 27.06.2017 EQUITY CASH PROFIT ( PREMIUM CORPORATE PACK) (1) 27.06.2017 MCX COMMODITY PROFIT : Rs.32960(PREMIUM CORPORATE PACK) (1) 27.06.2017 STOCK FUTURE PROFIT : Rs.93700(PREMIUM CORPORATE PACK) (1) 27.06.2017 STOCK OPTION PROFIT : Rs.26000(PREMIUM CORPORATE PACK) (1) 27.07.2017 CURRENCY NET PROFIT 62 Paise ((HNI PACK)High Networth) (1) 27.07.2017 EQUITY CASH PROFIT ( PREMIUM CORPORATE PACK) (1) 27.07.2017 MCX COMMODITY PROFIT : Rs.40100(PREMIUM CORPORATE PACK) (1) 27.07.2017 STOCK FUTURE PROFIT : Rs.92000(PREMIUM CORPORATE PACK) (1) 27.07.2017 STOCK OPTION PROFIT : Rs.38150(PREMIUM CORPORATE PACK) (1) 27.3.2017 COMMODITY PROFIT : Rs.75200( PREMIUM CORPORATE PACK) (1) 27.Jun.2016 - FREE INTEREST RATE FUTURES TIPS (1) 28.06.2017 CURRENCY NET PROFIT 82 Paise ((HNI PACK)High Networth) (1) 28.06.2017 EQUITY CASH PROFIT ( PREMIUM CORPORATE PACK) (1) 28.06.2017 MCX COMMODITY PROFIT : Rs.15000(PREMIUM CORPORATE PACK) (1) 28.06.2017 STOCK FUTURE PROFIT : Rs.75600(PREMIUM CORPORATE PACK) (1) 28.06.2017 STOCK OPTION PROFIT : Rs.13700(PREMIUM CORPORATE PACK) (1) 28.07.2017 CURRENCY NET PROFIT 27 Paise ((HNI PACK)High Networth) (1) 28.07.2017 EQUITY CASH PROFIT ( PREMIUM CORPORATE PACK) (1) 28.07.2017 STOCK FUTURE PROFIT : Rs.41600(PREMIUM CORPORATE PACK) (1) 28.07.2017 STOCK OPTION PROFIT : Rs.32350(PREMIUM CORPORATE PACK) (1) 28.08.2017 CURRENCY NET PROFIT 44 Paise ((HNI PACK)High Networth) (1) 28.08.2017 EQUITY CASH PROFIT ( PREMIUM CORPORATE PACK) (1) 28.08.2017 MCX COMMODITY PROFIT : Rs.43500(PREMIUM CORPORATE PACK) (1) 28.08.2017 STOCK FUTURE PROFIT : Rs.51600(PREMIUM CORPORATE PACK) (1) 28.08.2017 STOCK OPTION PROFIT : Rs.16800(PREMIUM CORPORATE PACK) (1) 28.3.2017 COMMODITY PROFIT : Rs.98400( PREMIUM CORPORATE PACK) (1) 28.May.2018 (3) 29.06.2017 CURRENCY NET PROFIT 75 Paise ((HNI PACK)High Networth) (1) 29.06.2017 EQUITY CASH PROFIT ( PREMIUM CORPORATE PACK) (1) 29.06.2017 MCX COMMODITY PROFIT : Rs.25600(PREMIUM CORPORATE PACK) (1) 29.06.2017 STOCK FUTURE PROFIT : Rs.89300(PREMIUM CORPORATE PACK) (1) 29.06.2017 STOCK OPTION PROFIT : Rs.49000(PREMIUM CORPORATE PACK) (1) 29.08.2017 CURRENCY NET PROFIT 89 Paise ((HNI PACK)High Networth) (1) 29.08.2017 EQUITY CASH PROFIT ( PREMIUM CORPORATE PACK) (1) 29.08.2017 STOCK FUTURE PROFIT : Rs.76400(PREMIUM CORPORATE PACK) (1) 29.08.2017 STOCK OPTION PROFIT : Rs.17900(PREMIUM CORPORATE PACK) (1) 29.3.2017 COMMODITY PROFIT : Rs.59500( PREMIUM CORPORATE PACK) (1) 29.Jun.2016 - FREE INTEREST RATE FUTURES TIPS (1) 2nd Session : 01.January.2018 (1) 2nd Session : 02.January.2018 (1) 2nd Session : 03.January.2018 (1) 2nd Session : 04.January.2018 (1) 2nd Session : 05.January.2018 (1) 2nd Session : 08.January.2018 (1) 2nd Session : 09.January.2018 (1) 2nd Session : 10.January.2018 (1) 2nd Session : 11.January.2018 (1) 2nd Session : 12.January.2018 (1) 2nd Session : 15.January.2018 (1) 2nd Session : 16.January.2018 (1) 2nd Session : 17.January.2018 (1) 2nd Session : 18.December.2017 (1) 2nd Session : 18.January.2018 (1) 2nd Session : 19.December.2017 (1) 2nd Session : 19.January.2018 (1) 2nd Session : 20.December.2017 (1) 2nd Session : 21.December.2017 (1) 2nd Session : 22.December.2017 (1) 2nd Session : 23.January.2018 (1) 2nd Session : 24.January.2018 (1) 2nd Session : 26.December.2017 (1) 2nd Session : 27.December.2017 (1) 2nd Session : 28.December.2017 (1) 2nd Session : 29.December.2017 (1) 2nd Session: 01.September.2017 (1) 2nd Session: 07.APR.2017 (1) 2nd Session: 1.August.2017 (1) 2nd Session: 1.August.2018 (1) 2nd Session: 1.February.2018 (1) 2nd Session: 1.JUNE.2017 (1) 2nd Session: 1.March.2018 (1) 2nd Session: 1.November.2017 (1) 2nd Session: 1.November.2018 (1) 2nd Session: 1.October.2018 (1) 2nd Session: 10.APR.2017 (1) 2nd Session: 10.April.2018 (1) 2nd Session: 10.August.2017 (1) 2nd Session: 10.August.2018 (1) 2nd Session: 10.July.2017 (1) 2nd Session: 10.July.2018 (1) 2nd Session: 10.May.2018 (1) 2nd Session: 10.November.2017 (1) 2nd Session: 10.October.2017 (1) 2nd Session: 10.September.2018 (1) 2nd Session: 11.APR.2017 (1) 2nd Session: 11.April.2018 (1) 2nd Session: 11.August.2017 (1) 2nd Session: 11.July.2017 (1) 2nd Session: 11.July.2018 (1) 2nd Session: 11.June.2018 (1) 2nd Session: 11.MAY.2017 (1) 2nd Session: 11.May.2018 (1) 2nd Session: 11.October.2017 (1) 2nd Session: 11.October.2018 (1) 2nd Session: 11.September.2017 (1) 2nd Session: 11.September.2018 (1) 2nd Session: 12.APR.2017 (1) 2nd Session: 12.April.2018 (1) 2nd Session: 12.February.2018 (1) 2nd Session: 12.July.2017 (1) 2nd Session: 12.July.2018 (1) 2nd Session: 12.JUNE.2017 (1) 2nd Session: 12.June.2018 (1) 2nd Session: 12.March.2018 (1) 2nd Session: 12.MAY.2017 (1) 2nd Session: 12.November.2018 (1) 2nd Session: 12.October.2017 (1) 2nd Session: 12.October.2018 (1) 2nd Session: 12.September.2017 (1) 2nd Session: 12.September.2018 (1) 2nd Session: 13.APR.2017 (2) 2nd Session: 13.April.2018 (1) 2nd Session: 13.August.2018 (1) 2nd Session: 13.July.2017 (1) 2nd Session: 13.July.2018 (1) 2nd Session: 13.JUNE.2017 (1) 2nd Session: 13.June.2018 (1) 2nd Session: 13.March.2018 (1) 2nd Session: 13.November.2017 (1) 2nd Session: 13.November.2018 (1) 2nd Session: 13.October.2017 (1) 2nd Session: 13.September.2017 (1) 2nd Session: 14.August.2017 (1) 2nd Session: 14.February.2018 (1) 2nd Session: 14.July.2017 (1) 2nd Session: 14.JUNE.2017 (1) 2nd Session: 14.June.2018 (1) 2nd Session: 14.March.2018 (1) 2nd Session: 14.May.2018 (1) 2nd Session: 14.November.2017 (1) 2nd Session: 14.November.2018 (1) 2nd Session: 14.September.2017 (1) 2nd Session: 14.September.2018 (1) 2nd Session: 15.February.2018 (1) 2nd Session: 15.JUNE.2017 (1) 2nd Session: 15.MAY.2017 (1) 2nd Session: 15.May.2018 (1) 2nd Session: 15.November.2017 (1) 2nd Session: 15.November.2018 (1) 2nd Session: 15.October.2018 (1) 2nd Session: 15.September.2017 (1) 2nd Session: 16.April.2018 (1) 2nd Session: 16.August.2017 (1) 2nd Session: 16.August.2018 (1) 2nd Session: 16.February.2018 (1) 2nd Session: 16.July.2018 (1) 2nd Session: 16.JUNE.2017 (1) 2nd Session: 16.March.2018 (1) 2nd Session: 16.May.2018 (1) 2nd Session: 16.October.2017 (1) 2nd Session: 16.October.2018 (1) 2nd Session: 17.APR.2017 (1) 2nd Session: 17.April.2018 (1) 2nd Session: 17.July.2017 (1) 2nd Session: 17.July.2018 (1) 2nd Session: 17.May.2018 (1) 2nd Session: 17.November.2017 (1) 2nd Session: 17.October.2017 (1) 2nd Session: 17.October.2018 (1) 2nd Session: 17.September.2018 (1) 2nd Session: 18.APR.2017 (1) 2nd Session: 18.April.2018 (1) 2nd Session: 18.August.2017 (1) 2nd Session: 18.July.2017 (1) 2nd Session: 18.July.2018 (1) 2nd Session: 18.June.2018 (1) 2nd Session: 18.May.2018 (1) 2nd Session: 18.September.2017 (1) 2nd Session: 18.September.2018 (1) 2nd Session: 19.APR.2017 (1) 2nd Session: 19.April.2018 (1) 2nd Session: 19.July.2017 (1) 2nd Session: 19.July.2018 (1) 2nd Session: 19.JUNE.2017 (1) 2nd Session: 19.June.2018 (1) 2nd Session: 19.March.2018 (1) 2nd Session: 19.MAY.2017 (1) 2nd Session: 19.November.2018 (1) 2nd Session: 19.October.2018 (1) 2nd Session: 19.September.2017 (1) 2nd Session: 19.September.2018 (1) 2nd Session: 2.August.2017 (1) 2nd Session: 2.February.2018 (1) 2nd Session: 2.JUNE.2017 (1) 2nd Session: 2.MAY.2017 (1) 2nd Session: 2.May.2018 (1) 2nd Session: 2.November.2017 (1) 2nd Session: 2.November.2018 (1) 2nd Session: 20.APR.2017 (1) 2nd Session: 20.April.2018 (1) 2nd Session: 20.August.2018 (1) 2nd Session: 20.February.2018 (1) 2nd Session: 20.July.2017 (1) 2nd Session: 20.JUNE.2017 (1) 2nd Session: 20.June.2018 (1) 2nd Session: 20.March.2018 (1) 2nd Session: 20.November.2017 (1) 2nd Session: 20.September.2017 (1) 2nd Session: 21.APR.2017 (1) 2nd Session: 21.August.2017 (1) 2nd Session: 21.February.2018 (1) 2nd Session: 21.July.2017 (1) 2nd Session: 21.JUNE.2017 (1) 2nd Session: 21.June.2018 (1) 2nd Session: 21.March.2018 (1) 2nd Session: 21.May.2018 (1) 2nd Session: 21.November.2017 (1) 2nd Session: 21.September.2017 (1) 2nd Session: 21.September.2018 (1) 2nd Session: 22.August.2017 (1) 2nd Session: 22.February.2018 (1) 2nd Session: 22.JUNE.2017 (1) 2nd Session: 22.March.2018 (1) 2nd Session: 22.MAY.2017 (1) 2nd Session: 22.May.2018 (1) 2nd Session: 22.November.2017 (1) 2nd Session: 22.September.2017 (1) 2nd Session: 23.April.2018 (1) 2nd Session: 23.August.2017 (1) 2nd Session: 23.August.2018 (1) 2nd Session: 23.February.2018 (1) 2nd Session: 23.July.2018 (1) 2nd Session: 23.JUNE.2017 (1) 2nd Session: 23.March.2018 (1) 2nd Session: 23.MAY.2017 (1) 2nd Session: 23.May.2018 (1) 2nd Session: 23.November.2017 (1) 2nd Session: 23.October.2017 (1) 2nd Session: 23.October.2018 (1) 2nd Session: 24.APR.2017 (1) 2nd Session: 24.April.2018 (1) 2nd Session: 24.August.2017 (1) 2nd Session: 24.August.2018 (1) 2nd Session: 24.July.2017 (1) 2nd Session: 24.July.2018 (1) 2nd Session: 24.March.2018 (1) 2nd Session: 24.MAY.2017 (1) 2nd Session: 24.November.2017 (1) 2nd Session: 24.October.2017 (1) 2nd Session: 24.October.2018 (1) 2nd Session: 24.September.2018 (1) 2nd Session: 25.APR.2017 (1) 2nd Session: 25.April.2018 (1) 2nd Session: 25.January.2018 (1) 2nd Session: 25.July.2017 (1) 2nd Session: 25.July.2018 (1) 2nd Session: 25.June.2018 (1) 2nd Session: 25.MAY.2017 (1) 2nd Session: 25.May.2018 (1) 2nd Session: 25.October.2017 (1) 2nd Session: 25.October.2018 (1) 2nd Session: 25.September.2017 (1) 2nd Session: 25.September.2018 (1) 2nd Session: 26.APR.2017 (1) 2nd Session: 26.April.2018 (1) 2nd Session: 26.February.2018 (1) 2nd Session: 26.July.2017 (1) 2nd Session: 26.July.2018 (1) 2nd Session: 26.June.2018 (1) 2nd Session: 26.March.2018 (1) 2nd Session: 26.MAY.2017 (1) 2nd Session: 26.November.2018 (1) 2nd Session: 26.October.2017 (1) 2nd Session: 26.October.2018 (1) 2nd Session: 26.September.2017 (1) 2nd Session: 26.September.2018 (1) 2nd Session: 27.APR.2017 (1) 2nd Session: 27.April.2018 (1) 2nd Session: 27.February.2018 (1) 2nd Session: 27.July.2017 (1) 2nd Session: 27.July.2018 (1) 2nd Session: 27.JUNE.2017 (1) 2nd Session: 27.June.2018 (1) 2nd Session: 27.March.2018 (1) 2nd Session: 27.November.2017 (1) 2nd Session: 27.November.2018 (1) 2nd Session: 27.October.2017 (1) 2nd Session: 27.September.2017 (1) 2nd Session: 27.September.2018 (1) 2nd Session: 28.APR.2017 (1) 2nd Session: 28.August.2017 (1) 2nd Session: 28.August.2018 (1) 2nd Session: 28.February.2018 (1) 2nd Session: 28.July.2017 (1) 2nd Session: 28.JUNE.2017 (1) 2nd Session: 28.June.2018 (1) 2nd Session: 28.March.2018 (1) 2nd Session: 28.November.2017 (1) 2nd Session: 28.November.2018 (1) 2nd Session: 28.September.2017 (1) 2nd Session: 28.September.2018 (1) 2nd Session: 29.August.2017 (1) 2nd Session: 29.January.2018 (1) 2nd Session: 29.JUNE.2017 (1) 2nd Session: 29.June.2018 (1) 2nd Session: 29.MAY.2017 (1) 2nd Session: 29.May.2018 (1) 2nd Session: 29.November.2017 (1) 2nd Session: 29.November.2018 (1) 2nd Session: 29.October.2018 (1) 2nd Session: 29.September.2017 (1) 2nd Session: 3.April.2018 (1) 2nd Session: 3.August.2017 (1) 2nd Session: 3.August.2018 (1) 2nd Session: 3.December.2018 (1) 2nd Session: 3.July.2017 (1) 2nd Session: 3.July.2018 (1) 2nd Session: 3.MAY.2017 (1) 2nd Session: 3.May.2018 (1) 2nd Session: 3.October.2017 (1) 2nd Session: 3.October.2018 (1) 2nd Session: 3.September.2018 (1) 2nd Session: 30.August.2018 (1) 2nd Session: 30.January.2018 (1) 2nd Session: 30.July.2018 (1) 2nd Session: 30.JUNE.2017 (1) 2nd Session: 30.MAY.2017 (1) 2nd Session: 30.May.2018 (1) 2nd Session: 30.November.2017 (1) 2nd Session: 30.November.2018 (1) 2nd Session: 30.October.2017 (1) 2nd Session: 30.October.2018 (1) 2nd Session: 31.August.2017 (1) 2nd Session: 31.August.2018 (1) 2nd Session: 31.January.2018 (1) 2nd Session: 31.July.2017 (1) 2nd Session: 31.July.2018 (1) 2nd Session: 31.MAY.2017 (1) 2nd Session: 31.May.2018 (1) 2nd Session: 31.October.2017 (1) 2nd Session: 31.October.2018 (1) 2nd Session: 4.April.2018 (1) 2nd Session: 4.August.2017 (1) 2nd Session: 4.December.2018 (1) 2nd Session: 4.July.2017 (1) 2nd Session: 4.July.2018 (1) 2nd Session: 4.June.2018 (1) 2nd Session: 4.MAY.2017 (1) 2nd Session: 4.May.2018 (1) 2nd Session: 4.November.2017 (1) 2nd Session: 4.October.2017 (1) 2nd Session: 4.September.2017 (1) 2nd Session: 5.4.2017 (1) 2nd Session: 5.April.2018 (1) 2nd Session: 5.December.2017 (1) 2nd Session: 5.December.2018 (1) 2nd Session: 5.February.2018 (1) 2nd Session: 5.July.2017 (1) 2nd Session: 5.July.2018 (1) 2nd Session: 5.JUNE.2017 (1) 2nd Session: 5.June.2018 (1) 2nd Session: 5.March.2018 (1) 2nd Session: 5.MAY.2017 (1) 2nd Session: 5.November.2018 (1) 2nd Session: 5.October.2017 (1) 2nd Session: 5.October.2018 (1) 2nd Session: 5.September.2017 (1) 2nd Session: 6.4.2017 (1) 2nd Session: 6.April.2018 (1) 2nd Session: 6.August.2018 (1) 2nd Session: 6.December.2017 (1) 2nd Session: 6.February.2018 (1) 2nd Session: 6.July.2017 (1) 2nd Session: 6.July.2018 (1) 2nd Session: 6.JUNE.2017 (1) 2nd Session: 6.June.2018 (1) 2nd Session: 6.March.2018 (1) 2nd Session: 6.November.2017 (1) 2nd Session: 6.October.2017 (1) 2nd Session: 6.September.2017 (1) 2nd Session: 6.September.2018 (1) 2nd Session: 7.August.2017 (1) 2nd Session: 7.December.2017 (1) 2nd Session: 7.February.2018 (1) 2nd Session: 7.July.2017 (1) 2nd Session: 7.JUNE.2017 (1) 2nd Session: 7.June.2018 (1) 2nd Session: 7.March.2018 (1) 2nd Session: 7.May.2018 (1) 2nd Session: 7.November.2017 (1) 2nd Session: 7.September.2017 (1) 2nd Session: 7.September.2018 (1) 2nd Session: 8.August.2017 (1) 2nd Session: 8.December.2017 (1) 2nd Session: 8.February.2018 (1) 2nd Session: 8.JUNE.2017 (1) 2nd Session: 8.March.2018 (1) 2nd Session: 8.MAY.2017 (1) 2nd Session: 8.May.2018 (1) 2nd Session: 8.November.2017 (1) 2nd Session: 8.October.2018 (1) 2nd Session: 8.September.2017 (1) 2nd Session: 9.April.2018 (1) 2nd Session: 9.August.2017 (1) 2nd Session: 9.August.2018 (1) 2nd Session: 9.February.2018 (1) 2nd Session: 9.July.2018 (1) 2nd Session: 9.JUNE.2017 (1) 2nd Session: 9.March.2018 (1) 2nd Session: 9.MAY.2017 (1) 2nd Session: 9.May.2018 (1) 2nd Session: 9.November.2017 (1) 2nd Session: 9.November.2018 (1) 2nd Session: 9.October.2017 (1) 2nd Session: 9.October.2018 (1) 3 Types of Inflation And Its Reasons - Rupeedesk - Share Market Training (1) 3.04.2017 CURRENCY NET PROFIT 70 Paise ( (HNI PACK)High Networth ) (1) 3.04.2017 EQUITY CASH PROFIT ( PREMIUM CORPORATE PACK) (1) 3.04.2017 STOCK FUTURE PROFIT : Rs.95200(PREMIUM CORPORATE PACK) (1) 3.04.2017 STOCK OPTION PROFIT : Rs.42800(PREMIUM CORPORATE PACK) (1) 30.03.2017 CURRENCY NET PROFIT 54 Paise ( PREMIUM CORPORATE PACK) (1) 30.03.2017 EQUITY CASH PROFIT ( PREMIUM CORPORATE PACK) (1) 30.03.2017 INDEX OPTION PROFIT : Rs.9400(PREMIUM CORPORATE PACK) (1) 30.03.2017 STOCK FUTURE PROFIT : Rs.106800(PREMIUM CORPORATE PACK) (1) 30.03.2017 STOCK OPTION PROFIT : Rs.48600(PREMIUM CORPORATE PACK) (1) 30.06.2017 CURRENCY NET PROFIT 83 Paise ((HNI PACK)High Networth) (1) 30.06.2017 EQUITY CASH PROFIT ( PREMIUM CORPORATE PACK) (1) 30.06.2017 MCX COMMODITY PROFIT : Rs.23350(PREMIUM CORPORATE PACK) (1) 30.06.2017 STOCK FUTURE PROFIT : Rs.94280(PREMIUM CORPORATE PACK) (1) 30.06.2017 STOCK OPTION PROFIT : Rs.22700(PREMIUM CORPORATE PACK) (1) 30.08.2017 CURRENCY NET PROFIT 41 Paise ((HNI PACK)High Networth) (1) 30.08.2017 EQUITY CASH PROFIT ( PREMIUM CORPORATE PACK) (1) 30.08.2017 MCX COMMODITY PROFIT : Rs.17700(PREMIUM CORPORATE PACK) (1) 30.08.2017 STOCK FUTURE PROFIT : Rs.93100(PREMIUM CORPORATE PACK) (1) 30.08.2017 STOCK OPTION PROFIT : Rs.43100(PREMIUM CORPORATE PACK) (1) 30.Jun.2016 - FREE INTEREST RATE FUTURES TIPS (1) 31.03.2017 CURRENCY NET PROFIT 44 Paise ( (HNI PACK)High Networth ) (1) 31.03.2017 EQUITY CASH PROFIT ( PREMIUM CORPORATE PACK) (1) 31.03.2017 STOCK FUTURE PROFIT : Rs.103600(PREMIUM CORPORATE PACK) (1) 31.03.2017 STOCK OPTION PROFIT : Rs.43800(PREMIUM CORPORATE PACK) (1) 31.07.2017 MCX COMMODITY PROFIT : Rs.26000(PREMIUM CORPORATE PACK) (1) 31.08.2017 CURRENCY NET PROFIT 82 Paise ((HNI PACK)High Networth) (1) 31.08.2017 EQUITY CASH PROFIT ( PREMIUM CORPORATE PACK) (1) 31.08.2017 MCX COMMODITY PROFIT : Rs.23200(PREMIUM CORPORATE PACK) (1) 31.08.2017 STOCK FUTURE PROFIT : Rs.84900(PREMIUM CORPORATE PACK) (1) 31.08.2017 STOCK OPTION PROFIT : Rs.32800(PREMIUM CORPORATE PACK) (1) 31.3.2017 COMMODITY PROFIT : Rs.51700( PREMIUM CORPORATE PACK) (1) 3rd Session : 01.January.2018 (1) 3rd Session : 02.January.2018 (1) 3rd Session : 03.January.2018 (1) 3rd Session : 04.January.2018 (1) 3rd Session : 05.January.2018 (1) 3rd Session : 08.January.2018 (1) 3rd Session : 09.January.2018 (1) 3rd Session : 10.January.2018 (1) 3rd Session : 11.January.2018 (1) 3rd Session : 12.January.2018 (1) 3rd Session : 15.January.2018 (1) 3rd Session : 16.January.2018 (1) 3rd Session : 17.January.2018 (1) 3rd Session : 18.December.2017 (1) 3rd Session : 18.January.2018 (1) 3rd Session : 19.December.2017 (1) 3rd Session : 19.January.2018 (1) 3rd Session : 20.December.2017 (1) 3rd Session : 21.December.2017 (1) 3rd Session : 22.December.2017 (1) 3rd Session : 24.January.2018 (1) 3rd Session : 26.December.2017 (1) 3rd Session : 27.December.2017 (1) 3rd Session : 28.December.2017 (1) 3rd Session : 29.December.2017 (1) 3rd Session : 5.4.2017 (1) 3rd Session: 01.September.2017 (1) 3rd Session: 07.APR.2017 (1) 3rd Session: 1.August.2017 (1) 3rd Session: 1.February.2018 (1) 3rd Session: 1.JUNE.2017 (1) 3rd Session: 1.March.2018 (1) 3rd Session: 1.November.2017 (1) 3rd Session: 1.October.2018 (1) 3rd Session: 10.APR.2017 (1) 3rd Session: 10.April.2018 (1) 3rd Session: 10.August.2017 (1) 3rd Session: 10.August.2018 (1) 3rd Session: 10.July.2017 (1) 3rd Session: 10.July.2018 (1) 3rd Session: 10.May.2018 (1) 3rd Session: 10.November.2017 (1) 3rd Session: 10.October.2017 (1) 3rd Session: 10.September.2018 (1) 3rd Session: 11.APR.2017 (1) 3rd Session: 11.April.2018 (1) 3rd Session: 11.August.2017 (1) 3rd Session: 11.July.2017 (1) 3rd Session: 11.July.2018 (1) 3rd Session: 11.June.2018 (1) 3rd Session: 11.MAY.2017 (1) 3rd Session: 11.May.2018 (1) 3rd Session: 11.October.2017 (1) 3rd Session: 11.October.2018 (1) 3rd Session: 11.September.2017 (1) 3rd Session: 11.September.2018 (1) 3rd Session: 12.APR.2017 (1) 3rd Session: 12.April.2018 (1) 3rd Session: 12.February.2018 (1) 3rd Session: 12.July.2017 (1) 3rd Session: 12.July.2018 (1) 3rd Session: 12.JUNE.2017 (1) 3rd Session: 12.June.2018 (1) 3rd Session: 12.March.2018 (1) 3rd Session: 12.MAY.2017 (1) 3rd Session: 12.October.2017 (1) 3rd Session: 12.October.2018 (1) 3rd Session: 12.September.2017 (1) 3rd Session: 13.APR.2017 (2) 3rd Session: 13.April.2018 (1) 3rd Session: 13.August.2018 (1) 3rd Session: 13.July.2017 (1) 3rd Session: 13.July.2018 (1) 3rd Session: 13.JUNE.2017 (1) 3rd Session: 13.June.2018 (1) 3rd Session: 13.March.2018 (1) 3rd Session: 13.November.2017 (1) 3rd Session: 13.October.2017 (1) 3rd Session: 13.September.2017 (1) 3rd Session: 14.August.2017 (1) 3rd Session: 14.February.2018 (1) 3rd Session: 14.July.2017 (1) 3rd Session: 14.JUNE.2017 (1) 3rd Session: 14.June.2018 (1) 3rd Session: 14.March.2018 (1) 3rd Session: 14.May.2018 (1) 3rd Session: 14.November.2017 (1) 3rd Session: 14.November.2018 (1) 3rd Session: 14.September.2017 (1) 3rd Session: 15.February.2018 (1) 3rd Session: 15.JUNE.2017 (1) 3rd Session: 15.MAY.2017 (1) 3rd Session: 15.May.2018 (1) 3rd Session: 15.November.2017 (1) 3rd Session: 15.October.2018 (1) 3rd Session: 15.September.2017 (1) 3rd Session: 16.April.2018 (1) 3rd Session: 16.August.2017 (1) 3rd Session: 16.August.2018 (1) 3rd Session: 16.February.2018 (1) 3rd Session: 16.July.2018 (1) 3rd Session: 16.JUNE.2017 (1) 3rd Session: 16.March.2018 (1) 3rd Session: 16.May.2018 (1) 3rd Session: 16.October.2017 (1) 3rd Session: 16.October.2018 (1) 3rd Session: 17.APR.2017 (1) 3rd Session: 17.April.2018 (1) 3rd Session: 17.July.2017 (1) 3rd Session: 17.July.2018 (1) 3rd Session: 17.May.2018 (1) 3rd Session: 17.November.2017 (1) 3rd Session: 17.October.2017 (1) 3rd Session: 17.October.2018 (1) 3rd Session: 17.September.2018 (1) 3rd Session: 18.APR.2017 (1) 3rd Session: 18.April.2018 (1) 3rd Session: 18.August.2017 (1) 3rd Session: 18.July.2017 (1) 3rd Session: 18.July.2018 (1) 3rd Session: 18.June.2018 (1) 3rd Session: 18.May.2018 (1) 3rd Session: 18.September.2017 (1) 3rd Session: 19.APR.2017 (1) 3rd Session: 19.April.2018 (1) 3rd Session: 19.July.2017 (1) 3rd Session: 19.July.2018 (1) 3rd Session: 19.JUNE.2017 (1) 3rd Session: 19.June.2018 (1) 3rd Session: 19.March.2018 (1) 3rd Session: 19.MAY.2017 (1) 3rd Session: 19.October.2018 (1) 3rd Session: 19.September.2017 (1) 3rd Session: 19.September.2018 (1) 3rd Session: 2.August.2017 (1) 3rd Session: 2.February.2018 (1) 3rd Session: 2.JUNE.2017 (1) 3rd Session: 2.MAY.2017 (1) 3rd Session: 2.May.2018 (1) 3rd Session: 2.November.2017 (1) 3rd Session: 20.APR.2017 (1) 3rd Session: 20.April.2018 (1) 3rd Session: 20.August.2018 (1) 3rd Session: 20.February.2018 (1) 3rd Session: 20.July.2017 (1) 3rd Session: 20.JUNE.2017 (1) 3rd Session: 20.June.2018 (1) 3rd Session: 20.March.2018 (1) 3rd Session: 20.November.2017 (1) 3rd Session: 20.September.2017 (1) 3rd Session: 21.APR.2017 (1) 3rd Session: 21.August.2017 (1) 3rd Session: 21.February.2018 (1) 3rd Session: 21.July.2017 (1) 3rd Session: 21.JUNE.2017 (1) 3rd Session: 21.June.2018 (1) 3rd Session: 21.March.2018 (1) 3rd Session: 21.May.2018 (1) 3rd Session: 21.November.2017 (1) 3rd Session: 21.September.2017 (1) 3rd Session: 21.September.2018 (1) 3rd Session: 22.August.2017 (1) 3rd Session: 22.February.2018 (1) 3rd Session: 22.JUNE.2017 (1) 3rd Session: 22.March.2018 (1) 3rd Session: 22.MAY.2017 (1) 3rd Session: 22.May.2018 (1) 3rd Session: 22.November.2017 (1) 3rd Session: 22.September.2017 (1) 3rd Session: 23.April.2018 (1) 3rd Session: 23.August.2017 (1) 3rd Session: 23.August.2018 (1) 3rd Session: 23.February.2018 (1) 3rd Session: 23.July.2018 (1) 3rd Session: 23.JUNE.2017 (1) 3rd Session: 23.March.2018 (1) 3rd Session: 23.MAY.2017 (1) 3rd Session: 23.May.2018 (1) 3rd Session: 23.November.2017 (1) 3rd Session: 23.October.2017 (1) 3rd Session: 23.October.2018 (1) 3rd Session: 24.APR.2017 (1) 3rd Session: 24.April.2018 (1) 3rd Session: 24.August.2017 (1) 3rd Session: 24.August.2018 (1) 3rd Session: 24.July.2017 (1) 3rd Session: 24.July.2018 (1) 3rd Session: 24.May.2018 (1) 3rd Session: 24.November.2017 (1) 3rd Session: 24.October.2017 (1) 3rd Session: 24.October.2018 (1) 3rd Session: 24.September.2018 (1) 3rd Session: 25.APR.2017 (1) 3rd Session: 25.April.2018 (1) 3rd Session: 25.January.2018 (1) 3rd Session: 25.July.2017 (1) 3rd Session: 25.July.2018 (1) 3rd Session: 25.June.2018 (1) 3rd Session: 25.MAY.2017 (1) 3rd Session: 25.May.2018 (1) 3rd Session: 25.October.2017 (1) 3rd Session: 25.October.2018 (1) 3rd Session: 25.September.2017 (1) 3rd Session: 25.September.2018 (1) 3rd Session: 26.APR.2017 (1) 3rd Session: 26.April.2018 (1) 3rd Session: 26.February.2018 (1) 3rd Session: 26.July.2017 (1) 3rd Session: 26.July.2018 (1) 3rd Session: 26.June.2018 (1) 3rd Session: 26.March.2018 (1) 3rd Session: 26.MAY.2017 (1) 3rd Session: 26.November.2018 (1) 3rd Session: 26.October.2017 (1) 3rd Session: 26.October.2018 (1) 3rd Session: 26.September.2017 (1) 3rd Session: 26.September.2018 (1) 3rd Session: 27.APR.2017 (1) 3rd Session: 27.April.2018 (1) 3rd Session: 27.February.2018 (1) 3rd Session: 27.July.2017 (1) 3rd Session: 27.July.2018 (1) 3rd Session: 27.JUNE.2017 (1) 3rd Session: 27.June.2018 (1) 3rd Session: 27.March.2018 (1) 3rd Session: 27.November.2017 (1) 3rd Session: 27.November.2018 (1) 3rd Session: 27.October.2017 (1) 3rd Session: 27.September.2017 (1) 3rd Session: 27.September.2018 (1) 3rd Session: 28.APR.2017 (1) 3rd Session: 28.August.2017 (1) 3rd Session: 28.August.2018 (1) 3rd Session: 28.February.2018 (1) 3rd Session: 28.July.2017 (1) 3rd Session: 28.JUNE.2017 (1) 3rd Session: 28.June.2018 (1) 3rd Session: 28.March.2018 (1) 3rd Session: 28.November.2017 (1) 3rd Session: 28.November.2018 (1) 3rd Session: 28.September.2017 (1) 3rd Session: 28.September.2018 (1) 3rd Session: 29.August.2017 (1) 3rd Session: 29.January.2018 (1) 3rd Session: 29.JUNE.2017 (1) 3rd Session: 29.June.2018 (1) 3rd Session: 29.MAY.2017 (1) 3rd Session: 29.May.2018 (1) 3rd Session: 29.November.2017 (1) 3rd Session: 29.November.2018 (1) 3rd Session: 29.October.2018 (1) 3rd Session: 29.September.2017 (1) 3rd Session: 3.April.2018 (1) 3rd Session: 3.August.2017 (1) 3rd Session: 3.August.2018 (1) 3rd Session: 3.December.2018 (1) 3rd Session: 3.July.2017 (1) 3rd Session: 3.July.2018 (1) 3rd Session: 3.MAY.2017 (1) 3rd Session: 3.May.2018 (1) 3rd Session: 3.October.2017 (1) 3rd Session: 3.October.2018 (1) 3rd Session: 3.September.2018 (1) 3rd Session: 30.August.2018 (1) 3rd Session: 30.January.2018 (1) 3rd Session: 30.July.2018 (1) 3rd Session: 30.JUNE.2017 (1) 3rd Session: 30.MAY.2017 (1) 3rd Session: 30.May.2018 (1) 3rd Session: 30.November.2017 (1) 3rd Session: 30.November.2018 (1) 3rd Session: 30.October.2017 (1) 3rd Session: 30.October.2018 (1) 3rd Session: 31.August.2017 (1) 3rd Session: 31.August.2018 (1) 3rd Session: 31.January.2018 (1) 3rd Session: 31.July.2017 (1) 3rd Session: 31.July.2018 (1) 3rd Session: 31.MAY.2017 (1) 3rd Session: 31.May.2018 (1) 3rd Session: 31.October.2017 (1) 3rd Session: 4.April.2018 (1) 3rd Session: 4.August.2017 (1) 3rd Session: 4.December.2018 (1) 3rd Session: 4.July.2017 (1) 3rd Session: 4.July.2018 (1) 3rd Session: 4.June.2018 (1) 3rd Session: 4.MAY.2017 (1) 3rd Session: 4.May.2018 (1) 3rd Session: 4.November.2017 (1) 3rd Session: 4.October.2017 (1) 3rd Session: 4.September.2017 (1) 3rd Session: 5.April.2018 (1) 3rd Session: 5.December.2017 (1) 3rd Session: 5.December.2018 (1) 3rd Session: 5.February.2018 (1) 3rd Session: 5.July.2017 (1) 3rd Session: 5.July.2018 (1) 3rd Session: 5.JUNE.2017 (1) 3rd Session: 5.June.2018 (1) 3rd Session: 5.March.2018 (1) 3rd Session: 5.MAY.2017 (1) 3rd Session: 5.October.2017 (1) 3rd Session: 5.October.2018 (1) 3rd Session: 5.September.2017 (1) 3rd Session: 6.4.2017 (1) 3rd Session: 6.April.2018 (1) 3rd Session: 6.August.2018 (1) 3rd Session: 6.December.2017 (1) 3rd Session: 6.February.2018 (1) 3rd Session: 6.July.2017 (1) 3rd Session: 6.July.2018 (1) 3rd Session: 6.June.2018 (1) 3rd Session: 6.March.2018 (1) 3rd Session: 6.November.2017 (1) 3rd Session: 6.October.2017 (1) 3rd Session: 6.September.2017 (1) 3rd Session: 6.September.2018 (1) 3rd Session: 7.August.2017 (1) 3rd Session: 7.December.2017 (1) 3rd Session: 7.February.2018 (1) 3rd Session: 7.July.2017 (1) 3rd Session: 7.JUNE.2017 (1) 3rd Session: 7.June.2018 (1) 3rd Session: 7.March.2018 (1) 3rd Session: 7.May.2018 (1) 3rd Session: 7.November.2017 (1) 3rd Session: 7.September.2017 (1) 3rd Session: 7.September.2018 (1) 3rd Session: 8.August.2017 (1) 3rd Session: 8.December.2017 (1) 3rd Session: 8.February.2018 (1) 3rd Session: 8.JUNE.2017 (1) 3rd Session: 8.March.2018 (1) 3rd Session: 8.MAY.2017 (1) 3rd Session: 8.May.2018 (1) 3rd Session: 8.November.2017 (1) 3rd Session: 8.October.2018 (1) 3rd Session: 8.September.2017 (1) 3rd Session: 9.April.2018 (1) 3rd Session: 9.August.2017 (1) 3rd Session: 9.August.2018 (1) 3rd Session: 9.February.2018 (1) 3rd Session: 9.July.2018 (1) 3rd Session: 9.JUNE.2017 (1) 3rd Session: 9.March.2018 (1) 3rd Session: 9.MAY.2017 (1) 3rd Session: 9.May.2018 (1) 3rd Session: 9.November.2017 (1) 3rd Session: 9.October.2017 (1) 3rd Session: 9.October.2018 (1) 4th Session : 01.January.2018 (1) 4th Session : 02.January.2018 (1) 4th Session : 03.January.2018 (1) 4th Session : 04.January.2018 (1) 4th Session : 05.January.2018 (1) 4th Session : 08.January.2018 (1) 4th Session : 09.January.2018 (1) 4th Session : 10.January.2018 (1) 4th Session : 11.January.2018 (1) 4th Session : 12.January.2018 (1) 4th Session : 15.December.2017 (1) 4th Session : 15.January.2018 (1) 4th Session : 16.January.2018 (1) 4th Session : 17.January.2018 (1) 4th Session : 18.December.2017 (1) 4th Session : 18.January.2018 (1) 4th Session : 19.December.2017 (1) 4th Session : 19.January.2018 (1) 4th Session : 20.December.2017 (1) 4th Session : 21.December.2017 (1) 4th Session : 22.December.2017 (1) 4th Session : 24.January.2018 (1) 4th Session : 26.December.2017 (1) 4th Session : 27.December.2017 (1) 4th Session : 28.December.2017 (1) 4th Session : 29.December.2017 (1) 4th Session: 6.4.2017 (1) 4th Session: 01.September.2017 (1) 4th Session: 07.APR.2017 (1) 4th Session: 1.August.2017 (1) 4th Session: 1.February.2018 (1) 4th Session: 1.JUNE.2017 (1) 4th Session: 1.March.2018 (1) 4th Session: 1.November.2017 (1) 4th Session: 1.October.2018 (1) 4th Session: 10.APR.2017 (1) 4th Session: 10.April.2018 (1) 4th Session: 10.August.2017 (1) 4th Session: 10.July.2017 (1) 4th Session: 10.July.2018 (1) 4th Session: 10.May.2018 (1) 4th Session: 10.November.2017 (1) 4th Session: 10.October.2017 (1) 4th Session: 11.APR.2017 (1) 4th Session: 11.April.2018 (1) 4th Session: 11.August.2017 (1) 4th Session: 11.July.2017 (1) 4th Session: 11.July.2018 (1) 4th Session: 11.June.2018 (1) 4th Session: 11.MAY.2017 (1) 4th Session: 11.May.2018 (1) 4th Session: 11.October.2017 (1) 4th Session: 11.October.2018 (1) 4th Session: 11.September.2017 (1) 4th Session: 11.September.2018 (1) 4th Session: 12.APR.2017 (1) 4th Session: 12.April.2018 (1) 4th Session: 12.February.2018 (1) 4th Session: 12.July.2017 (1) 4th Session: 12.July.2018 (1) 4th Session: 12.JUNE.2017 (1) 4th Session: 12.March.2018 (1) 4th Session: 12.MAY.2017 (1) 4th Session: 12.October.2017 (1) 4th Session: 12.October.2018 (1) 4th Session: 12.September.2017 (1) 4th Session: 13.APR.2017 (1) 4th Session: 13.April.2018 (1) 4th Session: 13.August.2018 (1) 4th Session: 13.July.2017 (1) 4th Session: 13.July.2018 (1) 4th Session: 13.JUNE.2017 (1) 4th Session: 13.June.2018 (1) 4th Session: 13.March.2018 (1) 4th Session: 13.November.2017 (1) 4th Session: 13.October.2017 (1) 4th Session: 13.September.2017 (1) 4th Session: 14.August.2017 (1) 4th Session: 14.February.2018 (1) 4th Session: 14.July.2017 (1) 4th Session: 14.JUNE.2017 (1) 4th Session: 14.June.2018 (1) 4th Session: 14.March.2018 (1) 4th Session: 14.May.2018 (1) 4th Session: 14.November.2017 (1) 4th Session: 14.September.2017 (1) 4th Session: 15.February.2018 (1) 4th Session: 15.JUNE.2017 (1) 4th Session: 15.MAY.2017 (1) 4th Session: 15.May.2018 (1) 4th Session: 15.November.2017 (1) 4th Session: 15.October.2018 (1) 4th Session: 15.September.2017 (1) 4th Session: 16.April.2018 (1) 4th Session: 16.August.2017 (1) 4th Session: 16.August.2018 (1) 4th Session: 16.February.2018 (1) 4th Session: 16.July.2018 (1) 4th Session: 16.JUNE.2017 (1) 4th Session: 16.March.2018 (1) 4th Session: 16.May.2018 (1) 4th Session: 16.October.2017 (1) 4th Session: 16.October.2018 (1) 4th Session: 17.APR.2017 (1) 4th Session: 17.April.2018 (1) 4th Session: 17.July.2017 (1) 4th Session: 17.July.2018 (1) 4th Session: 17.November.2017 (1) 4th Session: 17.October.2017 (1) 4th Session: 17.September.2018 (1) 4th Session: 18.APR.2017 (1) 4th Session: 18.April.2018 (1) 4th Session: 18.August.2017 (1) 4th Session: 18.July.2017 (1) 4th Session: 18.July.2018 (1) 4th Session: 18.June.2018 (1) 4th Session: 18.May.2018 (1) 4th Session: 18.September.2017 (1) 4th Session: 19.APR.2017 (1) 4th Session: 19.April.2018 (1) 4th Session: 19.July.2017 (1) 4th Session: 19.July.2018 (1) 4th Session: 19.JUNE.2017 (1) 4th Session: 19.June.2018 (1) 4th Session: 19.March.2018 (1) 4th Session: 19.MAY.2017 (1) 4th Session: 19.September.2017 (1) 4th Session: 19.September.2018 (1) 4th Session: 2.August.2017 (1) 4th Session: 2.February.2018 (1) 4th Session: 2.JUNE.2017 (1) 4th Session: 2.MAY.2017 (1) 4th Session: 2.May.2018 (1) 4th Session: 2.November.2017 (1) 4th Session: 20.APR.2017 (1) 4th Session: 20.April.2018 (1) 4th Session: 20.August.2018 (1) 4th Session: 20.February.2018 (1) 4th Session: 20.July.2017 (1) 4th Session: 20.JUNE.2017 (1) 4th Session: 20.June.2018 (1) 4th Session: 20.March.2018 (1) 4th Session: 20.November.2017 (1) 4th Session: 20.September.2017 (1) 4th Session: 21.APR.2017 (1) 4th Session: 21.August.2017 (1) 4th Session: 21.February.2018 (1) 4th Session: 21.July.2017 (1) 4th Session: 21.JUNE.2017 (1) 4th Session: 21.June.2018 (1) 4th Session: 21.March.2018 (1) 4th Session: 21.May.2018 (1) 4th Session: 21.November.2017 (1) 4th Session: 21.September.2017 (1) 4th Session: 21.September.2018 (1) 4th Session: 22.August.2017 (1) 4th Session: 22.February.2018 (1) 4th Session: 22.JUNE.2017 (1) 4th Session: 22.March.2018 (1) 4th Session: 22.MAY.2017 (1) 4th Session: 22.May.2018 (1) 4th Session: 22.November.2017 (1) 4th Session: 22.September.2017 (1) 4th Session: 23.April.2018 (1) 4th Session: 23.August.2017 (1) 4th Session: 23.August.2018 (1) 4th Session: 23.February.2018 (1) 4th Session: 23.July.2018 (1) 4th Session: 23.JUNE.2017 (2) 4th Session: 23.March.2018 (1) 4th Session: 23.May.2018 (1) 4th Session: 23.November.2017 (1) 4th Session: 23.October.2017 (1) 4th Session: 23.October.2018 (1) 4th Session: 24.APR.2017 (1) 4th Session: 24.April.2018 (1) 4th Session: 24.August.2017 (1) 4th Session: 24.August.2018 (1) 4th Session: 24.July.2017 (1) 4th Session: 24.July.2018 (1) 4th Session: 24.MAY.2017 (1) 4th Session: 24.May.2018 (1) 4th Session: 24.November.2017 (1) 4th Session: 24.October.2017 (1) 4th Session: 24.October.2018 (1) 4th Session: 24.September.2018 (1) 4th Session: 25.APR.2017 (1) 4th Session: 25.April.2018 (1) 4th Session: 25.January.2018 (1) 4th Session: 25.July.2017 (1) 4th Session: 25.July.2018 (1) 4th Session: 25.June.2018 (1) 4th Session: 25.MAY.2017 (1) 4th Session: 25.May.2018 (1) 4th Session: 25.October.2017 (1) 4th Session: 25.October.2018 (1) 4th Session: 25.September.2017 (1) 4th Session: 25.September.2018 (1) 4th Session: 26.APR.2017 (1) 4th Session: 26.April.2018 (1) 4th Session: 26.February.2018 (1) 4th Session: 26.July.2017 (1) 4th Session: 26.July.2018 (1) 4th Session: 26.June.2018 (1) 4th Session: 26.March.2018 (1) 4th Session: 26.MAY.2017 (1) 4th Session: 26.November.2018 (1) 4th Session: 26.October.2017 (1) 4th Session: 26.October.2018 (1) 4th Session: 26.September.2017 (1) 4th Session: 26.September.2018 (1) 4th Session: 27.APR.2017 (1) 4th Session: 27.April.2018 (1) 4th Session: 27.February.2018 (1) 4th Session: 27.July.2017 (1) 4th Session: 27.July.2018 (1) 4th Session: 27.JUNE.2017 (1) 4th Session: 27.June.2018 (1) 4th Session: 27.March.2018 (1) 4th Session: 27.November.2017 (1) 4th Session: 27.October.2017 (1) 4th Session: 27.September.2017 (1) 4th Session: 27.September.2018 (1) 4th Session: 28.APR.2017 (1) 4th Session: 28.August.2017 (1) 4th Session: 28.August.2018 (1) 4th Session: 28.February.2018 (1) 4th Session: 28.July.2017 (1) 4th Session: 28.JUNE.2017 (1) 4th Session: 28.June.2018 (1) 4th Session: 28.March.2018 (1) 4th Session: 28.November.2017 (1) 4th Session: 28.September.2017 (1) 4th Session: 28.September.2018 (1) 4th Session: 29.August.2017 (1) 4th Session: 29.January.2018 (1) 4th Session: 29.JUNE.2017 (1) 4th Session: 29.June.2018 (1) 4th Session: 29.MAY.2017 (1) 4th Session: 29.May.2018 (1) 4th Session: 29.November.2017 (1) 4th Session: 29.October.2018 (1) 4th Session: 29.September.2017 (1) 4th Session: 3.April.2018 (1) 4th Session: 3.August.2017 (1) 4th Session: 3.August.2018 (1) 4th Session: 3.July.2017 (1) 4th Session: 3.July.2018 (1) 4th Session: 3.MAY.2017 (1) 4th Session: 3.May.2018 (1) 4th Session: 3.October.2017 (1) 4th Session: 3.October.2018 (1) 4th Session: 3.September.2018 (1) 4th Session: 30.August.2017 (1) 4th Session: 30.August.2018 (1) 4th Session: 30.January.2018 (1) 4th Session: 30.July.2018 (1) 4th Session: 30.JUNE.2017 (1) 4th Session: 30.MAY.2017 (1) 4th Session: 30.May.2018 (1) 4th Session: 30.November.2017 (1) 4th Session: 30.October.2017 (1) 4th Session: 30.October.2018 (1) 4th Session: 31.August.2017 (1) 4th Session: 31.August.2018 (1) 4th Session: 31.January.2018 (1) 4th Session: 31.July.2017 (1) 4th Session: 31.July.2018 (1) 4th Session: 31.MAY.2017 (1) 4th Session: 31.May.2018 (1) 4th Session: 31.October.2017 (1) 4th Session: 4.April.2018 (1) 4th Session: 4.August.2017 (1) 4th Session: 4.July.2017 (1) 4th Session: 4.July.2018 (1) 4th Session: 4.June.2018 (1) 4th Session: 4.MAY.2017 (1) 4th Session: 4.May.2018 (1) 4th Session: 4.November.2017 (1) 4th Session: 4.October.2017 (1) 4th Session: 4.September.2017 (1) 4th Session: 5.4.2017 (1) 4th Session: 5.April.2018 (1) 4th Session: 5.December.2017 (1) 4th Session: 5.December.2018 (1) 4th Session: 5.February.2018 (1) 4th Session: 5.July.2017 (1) 4th Session: 5.July.2018 (1) 4th Session: 5.JUNE.2017 (1) 4th Session: 5.June.2018 (1) 4th Session: 5.March.2018 (1) 4th Session: 5.MAY.2017 (1) 4th Session: 5.October.2017 (1) 4th Session: 5.October.2018 (1) 4th Session: 5.September.2017 (1) 4th Session: 6.April.2018 (1) 4th Session: 6.August.2018 (1) 4th Session: 6.December.2017 (1) 4th Session: 6.February.2018 (1) 4th Session: 6.July.2017 (1) 4th Session: 6.July.2018 (1) 4th Session: 6.June.2018 (1) 4th Session: 6.March.2018 (1) 4th Session: 6.November.2017 (1) 4th Session: 6.October.2017 (1) 4th Session: 6.September.2017 (1) 4th Session: 6.September.2018 (1) 4th Session: 7.August.2017 (1) 4th Session: 7.December.2017 (1) 4th Session: 7.February.2018 (1) 4th Session: 7.July.2017 (1) 4th Session: 7.JUNE.2017 (1) 4th Session: 7.June.2018 (1) 4th Session: 7.March.2018 (1) 4th Session: 7.May.2018 (1) 4th Session: 7.November.2017 (1) 4th Session: 7.September.2017 (1) 4th Session: 7.September.2018 (1) 4th Session: 8.August.2017 (1) 4th Session: 8.December.2017 (1) 4th Session: 8.February.2018 (1) 4th Session: 8.JUNE.2017 (1) 4th Session: 8.March.2018 (1) 4th Session: 8.MAY.2017 (1) 4th Session: 8.May.2018 (1) 4th Session: 8.November.2017 (1) 4th Session: 8.October.2018 (1) 4th Session: 8.September.2017 (1) 4th Session: 9.April.2018 (1) 4th Session: 9.August.2017 (1) 4th Session: 9.August.2018 (1) 4th Session: 9.February.2018 (1) 4th Session: 9.July.2018 (1) 4th Session: 9.JUNE.2017 (1) 4th Session: 9.March.2018 (1) 4th Session: 9.MAY.2017 (1) 4th Session: 9.May.2018 (1) 4th Session: 9.November.2017 (1) 4th Session: 9.October.2017 (1) 4th Session: 9.October.2018 (1) 5th CURRENCY SESSION : 3.3.2017 (1) 5th Session : 01.January.2018 (1) 5th Session : 02.January.2018 (1) 5th Session : 03.January.2018 (1) 5th Session : 04.January.2018 (1) 5th Session : 05.January.2018 (1) 5th Session : 08.January.2018 (1) 5th Session : 09.January.2018 (1) 5th Session : 10.January.2018 (1) 5th Session : 11.January.2018 (1) 5th Session : 12.January.2018 (1) 5th Session : 15.December.2017 (1) 5th Session : 16.January.2018 (1) 5th Session : 17.January.2018 (1) 5th Session : 18.December.2017 (1) 5th Session : 18.January.2018 (1) 5th Session : 19.December.2017 (1) 5th Session : 19.January.2018 (1) 5th Session : 20.December.2017 (1) 5th Session : 21.December.2017 (1) 5th Session : 22.December.2017 (1) 5th Session : 24.January.2018 (1) 5th Session : 26.December.2017 (1) 5th Session : 27.December.2017 (1) 5th Session : 28.December.2017 (1) 5th Session : 29.December.2017 (1) 5th Session: 01.September.2017 (1) 5th Session: 07.APR.2017 (1) 5th Session: 1.August.2017 (1) 5th Session: 1.February.2018 (1) 5th Session: 1.JUNE.2017 (1) 5th Session: 1.March.2018 (1) 5th Session: 1.November.2017 (1) 5th Session: 1.October.2018 (1) 5th Session: 10.APR.2017 (1) 5th Session: 10.April.2018 (1) 5th Session: 10.August.2017 (1) 5th Session: 10.July.2017 (1) 5th Session: 10.July.2018 (1) 5th Session: 10.May.2018 (1) 5th Session: 10.November.2017 (1) 5th Session: 10.October.2017 (1) 5th Session: 11.APR.2017 (1) 5th Session: 11.April.2018 (1) 5th Session: 11.August.2017 (1) 5th Session: 11.July.2017 (1) 5th Session: 11.July.2018 (1) 5th Session: 11.June.2018 (1) 5th Session: 11.MAY.2017 (1) 5th Session: 11.May.2018 (1) 5th Session: 11.October.2017 (1) 5th Session: 11.October.2018 (1) 5th Session: 11.September.2017 (1) 5th Session: 12.APR.2017 (1) 5th Session: 12.April.2018 (1) 5th Session: 12.February.2018 (1) 5th Session: 12.July.2017 (1) 5th Session: 12.July.2018 (1) 5th Session: 12.JUNE.2017 (1) 5th Session: 12.March.2018 (1) 5th Session: 12.MAY.2017 (1) 5th Session: 12.October.2017 (1) 5th Session: 12.October.2018 (1) 5th Session: 12.September.2017 (1) 5th Session: 13.APR.2017 (1) 5th Session: 13.April.2018 (1) 5th Session: 13.July.2017 (1) 5th Session: 13.July.2018 (1) 5th Session: 13.JUNE.2017 (1) 5th Session: 13.June.2018 (1) 5th Session: 13.March.2018 (1) 5th Session: 13.November.2017 (1) 5th Session: 13.October.2017 (1) 5th Session: 13.September.2017 (1) 5th Session: 14.August.2017 (1) 5th Session: 14.February.2018 (1) 5th Session: 14.July.2017 (1) 5th Session: 14.JUNE.2017 (1) 5th Session: 14.June.2018 (1) 5th Session: 14.March.2018 (1) 5th Session: 14.May.2018 (1) 5th Session: 14.November.2017 (1) 5th Session: 14.September.2017 (1) 5th Session: 15.February.2018 (1) 5th Session: 15.JUNE.2017 (1) 5th Session: 15.MAY.2017 (1) 5th Session: 15.May.2018 (1) 5th Session: 15.November.2017 (1) 5th Session: 15.October.2018 (1) 5th Session: 15.September.2017 (1) 5th Session: 16.April.2018 (1) 5th Session: 16.August.2017 (1) 5th Session: 16.August.2018 (1) 5th Session: 16.February.2018 (1) 5th Session: 16.July.2018 (1) 5th Session: 16.JUNE.2017 (1) 5th Session: 16.March.2018 (1) 5th Session: 16.May.2018 (1) 5th Session: 16.October.2017 (1) 5th Session: 16.October.2018 (1) 5th Session: 17.APR.2017 (1) 5th Session: 17.April.2018 (1) 5th Session: 17.July.2017 (1) 5th Session: 17.November.2017 (1) 5th Session: 17.October.2017 (1) 5th Session: 17.September.2018 (1) 5th Session: 18.APR.2017 (1) 5th Session: 18.April.2018 (1) 5th Session: 18.August.2017 (1) 5th Session: 18.July.2017 (1) 5th Session: 18.July.2018 (1) 5th Session: 18.June.2018 (1) 5th Session: 18.May.2018 (1) 5th Session: 18.September.2017 (1) 5th Session: 19.APR.2017 (1) 5th Session: 19.July.2017 (1) 5th Session: 19.July.2018 (1) 5th Session: 19.JUNE.2017 (1) 5th Session: 19.June.2018 (1) 5th Session: 19.March.2018 (2) 5th Session: 19.MAY.2017 (1) 5th Session: 19.September.2017 (1) 5th Session: 19.September.2018 (1) 5th Session: 2.August.2017 (1) 5th Session: 2.February.2018 (1) 5th Session: 2.JUNE.2017 (1) 5th Session: 2.MAY.2017 (1) 5th Session: 2.May.2018 (1) 5th Session: 2.November.2017 (1) 5th Session: 20.APR.2017 (1) 5th Session: 20.April.2018 (1) 5th Session: 20.August.2018 (1) 5th Session: 20.February.2018 (1) 5th Session: 20.July.2017 (1) 5th Session: 20.JUNE.2017 (1) 5th Session: 20.June.2018 (1) 5th Session: 20.March.2018 (1) 5th Session: 20.November.2017 (1) 5th Session: 20.September.2017 (1) 5th Session: 21.APR.2017 (1) 5th Session: 21.August.2017 (1) 5th Session: 21.February.2018 (1) 5th Session: 21.July.2017 (1) 5th Session: 21.JUNE.2017 (1) 5th Session: 21.June.2018 (1) 5th Session: 21.March.2018 (1) 5th Session: 21.May.2018 (1) 5th Session: 21.November.2017 (1) 5th Session: 21.September.2017 (1) 5th Session: 21.September.2018 (1) 5th Session: 22.August.2017 (1) 5th Session: 22.February.2018 (1) 5th Session: 22.JUNE.2017 (1) 5th Session: 22.March.2018 (1) 5th Session: 22.MAY.2017 (1) 5th Session: 22.May.2018 (1) 5th Session: 22.November.2017 (1) 5th Session: 22.September.2017 (1) 5th Session: 23.April.2018 (1) 5th Session: 23.August.2017 (1) 5th Session: 23.August.2018 (1) 5th Session: 23.February.2018 (1) 5th Session: 23.July.2018 (1) 5th Session: 23.JUNE.2017 (1) 5th Session: 23.March.2018 (1) 5th Session: 23.MAY.2017 (1) 5th Session: 23.May.2018 (1) 5th Session: 23.November.2017 (1) 5th Session: 23.October.2017 (1) 5th Session: 23.October.2018 (1) 5th Session: 24.APR.2017 (1) 5th Session: 24.April.2018 (1) 5th Session: 24.August.2017 (1) 5th Session: 24.August.2018 (1) 5th Session: 24.July.2017 (1) 5th Session: 24.July.2018 (1) 5th Session: 24.MAY.2017 (1) 5th Session: 24.May.2018 (1) 5th Session: 24.November.2017 (1) 5th Session: 24.October.2017 (1) 5th Session: 24.October.2018 (1) 5th Session: 24.September.2018 (1) 5th Session: 25.APR.2017 (1) 5th Session: 25.April.2018 (1) 5th Session: 25.January.2018 (1) 5th Session: 25.July.2017 (1) 5th Session: 25.July.2018 (1) 5th Session: 25.June.2018 (1) 5th Session: 25.MAY.2017 (1) 5th Session: 25.October.2017 (1) 5th Session: 25.October.2018 (1) 5th Session: 25.September.2017 (1) 5th Session: 25.September.2018 (1) 5th Session: 26.APR.2017 (1) 5th Session: 26.April.2018 (1) 5th Session: 26.February.2018 (1) 5th Session: 26.July.2017 (1) 5th Session: 26.July.2018 (1) 5th Session: 26.June.2018 (1) 5th Session: 26.March.2018 (1) 5th Session: 26.MAY.2017 (1) 5th Session: 26.October.2017 (1) 5th Session: 26.October.2018 (1) 5th Session: 26.September.2017 (1) 5th Session: 26.September.2018 (1) 5th Session: 27.APR.2017 (1) 5th Session: 27.April.2018 (1) 5th Session: 27.July.2017 (1) 5th Session: 27.July.2018 (1) 5th Session: 27.JUNE.2017 (1) 5th Session: 27.June.2018 (1) 5th Session: 27.March.2018 (1) 5th Session: 27.November.2017 (1) 5th Session: 27.October.2017 (1) 5th Session: 27.September.2017 (1) 5th Session: 27.September.2018 (1) 5th Session: 28.APR.2017 (1) 5th Session: 28.August.2017 (1) 5th Session: 28.August.2018 (1) 5th Session: 28.February.2018 (1) 5th Session: 28.July.2017 (1) 5th Session: 28.JUNE.2017 (1) 5th Session: 28.June.2018 (1) 5th Session: 28.March.2018 (1) 5th Session: 28.November.2017 (1) 5th Session: 28.September.2017 (1) 5th Session: 28.September.2018 (1) 5th Session: 29.August.2017 (1) 5th Session: 29.January.2018 (1) 5th Session: 29.JUNE.2017 (1) 5th Session: 29.June.2018 (1) 5th Session: 29.MAY.2017 (1) 5th Session: 29.May.2018 (1) 5th Session: 29.November.2017 (1) 5th Session: 29.October.2018 (1) 5th Session: 29.September.2017 (1) 5th Session: 3.April.2018 (1) 5th Session: 3.August.2017 (1) 5th Session: 3.August.2018 (1) 5th Session: 3.July.2017 (1) 5th Session: 3.July.2018 (1) 5th Session: 3.MAY.2017 (1) 5th Session: 3.May.2018 (1) 5th Session: 3.October.2017 (1) 5th Session: 3.October.2018 (1) 5th Session: 3.September.2018 (1) 5th Session: 30.August.2017 (1) 5th Session: 30.August.2018 (1) 5th Session: 30.January.2018 (1) 5th Session: 30.July.2018 (1) 5th Session: 30.JUNE.2017 (1) 5th Session: 30.MAY.2017 (1) 5th Session: 30.May.2018 (1) 5th Session: 30.November.2017 (1) 5th Session: 30.October.2017 (1) 5th Session: 30.October.2018 (1) 5th Session: 31.August.2017 (1) 5th Session: 31.August.2018 (1) 5th Session: 31.January.2018 (1) 5th Session: 31.July.2017 (1) 5th Session: 31.July.2018 (1) 5th Session: 31.MAY.2017 (1) 5th Session: 31.May.2018 (1) 5th Session: 31.October.2017 (1) 5th Session: 4.April.2018 (1) 5th Session: 4.August.2017 (1) 5th Session: 4.July.2017 (1) 5th Session: 4.July.2018 (1) 5th Session: 4.June.2018 (1) 5th Session: 4.MAY.2017 (1) 5th Session: 4.May.2018 (1) 5th Session: 4.November.2017 (1) 5th Session: 4.October.2017 (1) 5th Session: 4.October.2018 (1) 5th Session: 4.September.2017 (1) 5th Session: 5.4.2017 (1) 5th Session: 5.April.2018 (1) 5th Session: 5.February.2018 (1) 5th Session: 5.July.2017 (1) 5th Session: 5.July.2018 (1) 5th Session: 5.JUNE.2017 (1) 5th Session: 5.June.2018 (1) 5th Session: 5.March.2018 (1) 5th Session: 5.MAY.2017 (1) 5th Session: 5.November.2017 (1) 5th Session: 5.October.2017 (1) 5th Session: 5.September.2017 (1) 5th Session: 6.4.2017 (1) 5th Session: 6.April.2018 (1) 5th Session: 6.August.2018 (1) 5th Session: 6.December.2017 (1) 5th Session: 6.February.2018 (1) 5th Session: 6.July.2017 (1) 5th Session: 6.July.2018 (1) 5th Session: 6.June.2018 (1) 5th Session: 6.March.2018 (1) 5th Session: 6.November.2017 (1) 5th Session: 6.October.2017 (1) 5th Session: 6.September.2017 (1) 5th Session: 6.September.2018 (1) 5th Session: 7.December.2017 (1) 5th Session: 7.February.2018 (1) 5th Session: 7.July.2017 (1) 5th Session: 7.June.2017 (1) 5th Session: 7.June.2018 (1) 5th Session: 7.March.2018 (1) 5th Session: 7.May.2018 (1) 5th Session: 7.November.2017 (1) 5th Session: 7.September.2017 (1) 5th Session: 7.September.2018 (1) 5th Session: 8.August.2017 (1) 5th Session: 8.December.2017 (1) 5th Session: 8.February.2018 (1) 5th Session: 8.JUNE.2017 (1) 5th Session: 8.March.2018 (1) 5th Session: 8.MAY.2017 (1) 5th Session: 8.May.2018 (1) 5th Session: 8.November.2017 (1) 5th Session: 8.October.2018 (1) 5th Session: 8.September.2017 (1) 5th Session: 9.April.2018 (1) 5th Session: 9.August.2017 (1) 5th Session: 9.August.2018 (1) 5th Session: 9.February.2018 (1) 5th Session: 9.July.2018 (1) 5th Session: 9.JUNE.2017 (1) 5th Session: 9.March.2018 (1) 5th Session: 9.MAY.2017 (1) 5th Session: 9.May.2018 (1) 5th Session: 9.November.2017 (1) 5th Session: 9.October.2017 (1) 5th Session: 9.October.2018 (1) 68.61 (1) 6th CURRENCY SESSION : 3.3.2017 (1) 6th Session : 01.January.2018 (1) 6th Session : 02.January.2018 (1) 6th Session : 03.January.2018 (1) 6th Session : 04.January.2018 (1) 6th Session : 05.January.2018 (1) 6th Session : 08.January.2018 (1) 6th Session : 09.January.2018 (1) 6th Session : 10.January.2018 (1) 6th Session : 11.January.2018 (1) 6th Session : 12.January.2018 (1) 6th Session : 15.December.2017 (1) 6th Session : 16.January.2018 (1) 6th Session : 17.January.2018 (1) 6th Session : 18.December.2017 (1) 6th Session : 18.January.2018 (1) 6th Session : 19.December.2017 (1) 6th Session : 19.January.2018 (1) 6th Session : 20.December.2017 (1) 6th Session : 21.December.2017 (1) 6th Session : 22.December.2017 (1) 6th Session : 24.January.2018 (1) 6th Session : 26.December.2017 (1) 6th Session : 27.December.2017 (1) 6th Session : 28.December.2017 (1) 6th Session : 29.December.2017 (1) 6th Session: 01.September.2017 (1) 6th Session: 07.APR.2017 (1) 6th Session: 1.August.2017 (1) 6th Session: 1.February.2018 (1) 6th Session: 1.March.2018 (1) 6th Session: 1.November.2017 (1) 6th Session: 1.October.2018 (1) 6th Session: 10.APR.2017 (1) 6th Session: 10.April.2018 (1) 6th Session: 10.August.2017 (1) 6th Session: 10.July.2017 (1) 6th Session: 10.July.2018 (1) 6th Session: 10.May.2018 (1) 6th Session: 10.November.2017 (1) 6th Session: 10.October.2017 (1) 6th Session: 11.APR.2017 (1) 6th Session: 11.April.2018 (1) 6th Session: 11.August.2017 (1) 6th Session: 11.July.2017 (1) 6th Session: 11.July.2018 (1) 6th Session: 11.June.2018 (1) 6th Session: 11.MAY.2017 (1) 6th Session: 11.May.2018 (1) 6th Session: 11.October.2017 (1) 6th Session: 11.October.2018 (1) 6th Session: 11.September.2017 (1) 6th Session: 12.APR.2017 (1) 6th Session: 12.April.2018 (1) 6th Session: 12.February.2018 (1) 6th Session: 12.July.2017 (1) 6th Session: 12.July.2018 (1) 6th Session: 12.JUNE.2017 (1) 6th Session: 12.March.2018 (1) 6th Session: 12.MAY.2017 (1) 6th Session: 12.October.2017 (1) 6th Session: 12.September.2017 (1) 6th Session: 13.APR.2017 (1) 6th Session: 13.April.2018 (1) 6th Session: 13.July.2017 (1) 6th Session: 13.July.2018 (1) 6th Session: 13.JUNE.2017 (1) 6th Session: 13.June.2018 (1) 6th Session: 13.March.2018 (1) 6th Session: 13.November.2017 (1) 6th Session: 13.October.2017 (1) 6th Session: 13.September.2017 (1) 6th Session: 14.August.2017 (1) 6th Session: 14.February.2018 (1) 6th Session: 14.July.2017 (1) 6th Session: 14.JUNE.2017 (1) 6th Session: 14.June.2018 (1) 6th Session: 14.March.2018 (1) 6th Session: 14.May.2018 (1) 6th Session: 14.November.2017 (1) 6th Session: 14.September.2017 (1) 6th Session: 15.February.2018 (1) 6th Session: 15.JUNE.2017 (1) 6th Session: 15.MAY.2017 (1) 6th Session: 15.May.2018 (1) 6th Session: 15.November.2017 (1) 6th Session: 15.October.2018 (1) 6th Session: 15.September.2017 (1) 6th Session: 16.April.2018 (1) 6th Session: 16.August.2017 (1) 6th Session: 16.August.2018 (1) 6th Session: 16.February.2018 (1) 6th Session: 16.July.2018 (1) 6th Session: 16.JUNE.2017 (1) 6th Session: 16.March.2018 (1) 6th Session: 16.May.2018 (2) 6th Session: 16.October.2017 (1) 6th Session: 16.October.2018 (1) 6th Session: 17.APR.2017 (1) 6th Session: 17.April.2018 (1) 6th Session: 17.July.2017 (1) 6th Session: 17.November.2017 (1) 6th Session: 17.October.2017 (1) 6th Session: 17.September.2018 (1) 6th Session: 18.APR.2017 (1) 6th Session: 18.April.2018 (1) 6th Session: 18.August.2017 (1) 6th Session: 18.July.2017 (1) 6th Session: 18.July.2018 (1) 6th Session: 18.June.2018 (1) 6th Session: 18.May.2018 (1) 6th Session: 18.September.2017 (1) 6th Session: 19.APR.2017 (1) 6th Session: 19.April.2018 (1) 6th Session: 19.July.2017 (1) 6th Session: 19.July.2018 (1) 6th Session: 19.JUNE.2017 (1) 6th Session: 19.June.2018 (1) 6th Session: 19.March.2018 (1) 6th Session: 19.MAY.2017 (1) 6th Session: 19.September.2017 (1) 6th Session: 19.September.2018 (1) 6th Session: 2.August.2017 (1) 6th Session: 2.February.2018 (1) 6th Session: 2.JUNE.2017 (1) 6th Session: 2.MAY.2017 (1) 6th Session: 2.May.2018 (1) 6th Session: 2.November.2017 (1) 6th Session: 20.APR.2017 (1) 6th Session: 20.April.2018 (1) 6th Session: 20.August.2018 (1) 6th Session: 20.February.2018 (1) 6th Session: 20.July.2017 (1) 6th Session: 20.JUNE.2017 (1) 6th Session: 20.June.2018 (1) 6th Session: 20.March.2018 (1) 6th Session: 20.November.2017 (1) 6th Session: 20.September.2017 (1) 6th Session: 21.August.2017 (1) 6th Session: 21.February.2018 (1) 6th Session: 21.July.2017 (1) 6th Session: 21.JUNE.2017 (1) 6th Session: 21.June.2018 (1) 6th Session: 21.March.2018 (1) 6th Session: 21.May.2018 (1) 6th Session: 21.November.2017 (1) 6th Session: 21.September.2017 (1) 6th Session: 22.August.2017 (1) 6th Session: 22.February.2018 (1) 6th Session: 22.JUNE.2017 (2) 6th Session: 22.March.2018 (1) 6th Session: 22.MAY.2017 (1) 6th Session: 22.May.2018 (1) 6th Session: 22.November.2017 (1) 6th Session: 22.September.2017 (1) 6th Session: 23.April.2018 (1) 6th Session: 23.August.2017 (1) 6th Session: 23.August.2018 (1) 6th Session: 23.February.2018 (1) 6th Session: 23.JUNE.2017 (1) 6th Session: 23.March.2018 (1) 6th Session: 23.MAY.2017 (1) 6th Session: 23.May.2018 (1) 6th Session: 23.November.2017 (1) 6th Session: 23.October.2017 (1) 6th Session: 23.October.2018 (1) 6th Session: 24.APR.2017 (1) 6th Session: 24.April.2018 (1) 6th Session: 24.August.2017 (1) 6th Session: 24.August.2018 (1) 6th Session: 24.July.2017 (1) 6th Session: 24.MAY.2017 (1) 6th Session: 24.May.2018 (1) 6th Session: 24.November.2017 (1) 6th Session: 24.October.2017 (1) 6th Session: 24.October.2018 (1) 6th Session: 24.September.2018 (1) 6th Session: 25.APR.2017 (1) 6th Session: 25.April.2018 (1) 6th Session: 25.January.2018 (1) 6th Session: 25.July.2017 (1) 6th Session: 25.July.2018 (1) 6th Session: 25.June.2018 (1) 6th Session: 25.MAY.2017 (1) 6th Session: 25.October.2017 (1) 6th Session: 25.October.2018 (1) 6th Session: 25.September.2017 (1) 6th Session: 25.September.2018 (1) 6th Session: 26.APR.2017 (1) 6th Session: 26.April.2018 (1) 6th Session: 26.February.2018 (1) 6th Session: 26.July.2018 (1) 6th Session: 26.June.2017 (1) 6th Session: 26.June.2018 (1) 6th Session: 26.March.2018 (1) 6th Session: 26.MAY.2017 (1) 6th Session: 26.October.2017 (1) 6th Session: 26.September.2017 (1) 6th Session: 26.September.2018 (1) 6th Session: 27.APR.2017 (1) 6th Session: 27.April.2018 (1) 6th Session: 27.February.2018 (1) 6th Session: 27.July.2017 (1) 6th Session: 27.July.2018 (1) 6th Session: 27.JUNE.2017 (1) 6th Session: 27.June.2018 (1) 6th Session: 27.March.2018 (1) 6th Session: 27.November.2017 (1) 6th Session: 27.October.2017 (1) 6th Session: 27.September.2017 (1) 6th Session: 28.APR.2017 (1) 6th Session: 28.August.2017 (1) 6th Session: 28.August.2018 (1) 6th Session: 28.February.2018 (1) 6th Session: 28.July.2017 (1) 6th Session: 28.JUNE.2017 (1) 6th Session: 28.June.2018 (1) 6th Session: 28.March.2018 (1) 6th Session: 28.November.2017 (1) 6th Session: 28.September.2018 (1) 6th Session: 29.August.2017 (1) 6th Session: 29.January.2018 (1) 6th Session: 29.JUNE.2017 (1) 6th Session: 29.June.2018 (1) 6th Session: 29.MAY.2017 (1) 6th Session: 29.May.2018 (1) 6th Session: 29.November.2017 (1) 6th Session: 29.October.2018 (1) 6th Session: 29.September.2017 (1) 6th Session: 3.April.2018 (1) 6th Session: 3.August.2017 (1) 6th Session: 3.August.2018 (1) 6th Session: 3.July.2017 (1) 6th Session: 3.July.2018 (1) 6th Session: 3.MAY.2017 (1) 6th Session: 3.May.2018 (1) 6th Session: 3.October.2017 (1) 6th Session: 3.October.2018 (1) 6th Session: 3.September.2018 (1) 6th Session: 30.August.2017 (1) 6th Session: 30.August.2018 (1) 6th Session: 30.January.2018 (1) 6th Session: 30.July.2018 (1) 6th Session: 30.JUNE.2017 (2) 6th Session: 30.MAY.2017 (1) 6th Session: 30.May.2018 (1) 6th Session: 30.November.2017 (1) 6th Session: 30.October.2017 (1) 6th Session: 30.October.2018 (1) 6th Session: 31.August.2017 (1) 6th Session: 31.August.2018 (1) 6th Session: 31.January.2018 (1) 6th Session: 31.July.2017 (1) 6th Session: 31.July.2018 (1) 6th Session: 31.MAY.2017 (1) 6th Session: 31.May.2018 (1) 6th Session: 31.October.2017 (1) 6th Session: 4.April.2018 (1) 6th Session: 4.August.2017 (1) 6th Session: 4.July.2017 (1) 6th Session: 4.July.2018 (1) 6th Session: 4.June.2018 (1) 6th Session: 4.MAY.2017 (1) 6th Session: 4.May.2018 (1) 6th Session: 4.November.2017 (1) 6th Session: 4.October.2017 (1) 6th Session: 4.September.2017 (1) 6th Session: 5.4.2017 (1) 6th Session: 5.April.2018 (1) 6th Session: 5.February.2018 (1) 6th Session: 5.July.2017 (1) 6th Session: 5.July.2018 (1) 6th Session: 5.June.2018 (1) 6th Session: 5.March.2018 (1) 6th Session: 5.MAY.2017 (1) 6th Session: 5.November.2017 (1) 6th Session: 5.October.2017 (1) 6th Session: 5.September.2017 (1) 6th Session: 6.4.2017 (1) 6th Session: 6.April.2018 (1) 6th Session: 6.August.2018 (1) 6th Session: 6.December.2017 (1) 6th Session: 6.February.2018 (1) 6th Session: 6.July.2017 (1) 6th Session: 6.July.2018 (1) 6th Session: 6.June.2018 (1) 6th Session: 6.March.2018 (1) 6th Session: 6.November.2017 (1) 6th Session: 6.October.2017 (1) 6th Session: 6.September.2017 (1) 6th Session: 6.September.2018 (1) 6th Session: 7.December.2017 (1) 6th Session: 7.February.2018 (1) 6th Session: 7.July.2017 (1) 6th Session: 7.June.2017 (1) 6th Session: 7.June.2018 (1) 6th Session: 7.March.2018 (1) 6th Session: 7.May.2018 (1) 6th Session: 7.November.2017 (1) 6th Session: 7.September.2017 (1) 6th Session: 7.September.2018 (1) 6th Session: 8.August.2017 (1) 6th Session: 8.December.2017 (1) 6th Session: 8.February.2018 (1) 6th Session: 8.JUNE.2017 (1) 6th Session: 8.March.2018 (1) 6th Session: 8.MAY.2017 (1) 6th Session: 8.May.2018 (1) 6th Session: 8.November.2017 (1) 6th Session: 8.October.2018 (1) 6th Session: 8.September.2017 (1) 6th Session: 9.April.2018 (1) 6th Session: 9.August.2017 (1) 6th Session: 9.August.2018 (1) 6th Session: 9.February.2018 (1) 6th Session: 9.July.2018 (1) 6th Session: 9.JUNE.2017 (1) 6th Session: 9.MAY.2017 (1) 6th Session: 9.May.2018 (1) 6th Session: 9.November.2017 (1) 6th Session: 9.October.2017 (1) 6th Session: 9.October.2018 (1) 7.Jul.2016 - FREE INTEREST RATE FUTURES TIPS (1) 7.May.2018 (1) 7th CURRENCY SESSION : 3.3.2017 (1) 7th Session : 01.January.2018 (1) 7th Session : 02.January.2018 (1) 7th Session : 03.January.2018 (1) 7th Session : 04.January.2018 (1) 7th Session : 05.January.2018 (1) 7th Session : 08.January.2018 (1) 7th Session : 09.January.2018 (1) 7th Session : 10.January.2018 (1) 7th Session : 11.January.2018 (1) 7th Session : 12.January.2018 (1) 7th Session : 15.December.2017 (1) 7th Session : 16.January.2018 (1) 7th Session : 17.January.2018 (1) 7th Session : 18.December.2017 (1) 7th Session : 18.January.2018 (1) 7th Session : 19.December.2017 (1) 7th Session : 19.January.2018 (1) 7th Session : 20.December.2017 (1) 7th Session : 21.December.2017 (1) 7th Session : 22.December.2017 (1) 7th Session : 24.January.2018 (1) 7th Session : 26.December.2017 (1) 7th Session : 27.December.2017 (1) 7th Session : 28.December.2017 (1) 7th Session : 29.December.2017 (1) 7th Session: 01.September.2017 (1) 7th Session: 07.APR.2017 (1) 7th Session: 1.August.2017 (1) 7th Session: 1.February.2018 (1) 7th Session: 1.March.2018 (1) 7th Session: 1.November.2017 (1) 7th Session: 10.APR.2017 (1) 7th Session: 10.April.2018 (1) 7th Session: 10.August.2017 (1) 7th Session: 10.July.2017 (1) 7th Session: 10.July.2018 (1) 7th Session: 10.May.2018 (1) 7th Session: 10.November.2017 (1) 7th Session: 10.October.2017 (1) 7th Session: 11.APR.2017 (1) 7th Session: 11.April.2018 (1) 7th Session: 11.August.2017 (1) 7th Session: 11.July.2017 (1) 7th Session: 11.June.2018 (1) 7th Session: 11.MAY.2017 (1) 7th Session: 11.May.2018 (1) 7th Session: 11.October.2017 (1) 7th Session: 12.April.2018 (1) 7th Session: 12.February.2018 (1) 7th Session: 12.July.2017 (1) 7th Session: 12.July.2018 (1) 7th Session: 12.JUNE.2017 (1) 7th Session: 12.March.2018 (1) 7th Session: 12.MAY.2017 (1) 7th Session: 12.October.2017 (1) 7th Session: 12.September.2017 (1) 7th Session: 13.APR.2017 (1) 7th Session: 13.April.2018 (1) 7th Session: 13.July.2017 (1) 7th Session: 13.July.2018 (1) 7th Session: 13.JUNE.2017 (1) 7th Session: 13.June.2018 (1) 7th Session: 13.March.2018 (1) 7th Session: 13.November.2017 (1) 7th Session: 13.October.2017 (1) 7th Session: 13.September.2017 (1) 7th Session: 14.August.2017 (1) 7th Session: 14.February.2018 (1) 7th Session: 14.July.2017 (1) 7th Session: 14.JUNE.2017 (1) 7th Session: 14.June.2018 (1) 7th Session: 14.March.2018 (1) 7th Session: 14.May.2018 (1) 7th Session: 14.November.2017 (1) 7th Session: 14.September.2017 (1) 7th Session: 15.February.2018 (1) 7th Session: 15.June.2017 (1) 7th Session: 15.MAY.2017 (1) 7th Session: 15.May.2018 (1) 7th Session: 15.November.2017 (1) 7th Session: 15.September.2017 (1) 7th Session: 16.April.2018 (1) 7th Session: 16.August.2017 (1) 7th Session: 16.August.2018 (1) 7th Session: 16.February.2018 (1) 7th Session: 16.July.2018 (1) 7th Session: 16.JUNE.2017 (1) 7th Session: 16.March.2018 (1) 7th Session: 16.May.2018 (1) 7th Session: 16.October.2017 (1) 7th Session: 17.APR.2017 (1) 7th Session: 17.April.2018 (1) 7th Session: 17.July.2017 (1) 7th Session: 17.November.2017 (1) 7th Session: 17.October.2017 (1) 7th Session: 17.September.2018 (1) 7th Session: 18.APR.2017 (1) 7th Session: 18.April.2018 (1) 7th Session: 18.August.2017 (1) 7th Session: 18.July.2017 (1) 7th Session: 18.July.2018 (1) 7th Session: 18.June.2018 (1) 7th Session: 18.May.2018 (1) 7th Session: 18.September.2017 (1) 7th Session: 19.APR.2017 (1) 7th Session: 19.July.2017 (1) 7th Session: 19.July.2018 (1) 7th Session: 19.JUNE.2017 (1) 7th Session: 19.June.2018 (1) 7th Session: 19.March.2018 (1) 7th Session: 19.MAY.2017 (1) 7th Session: 19.September.2017 (1) 7th Session: 19.September.2018 (1) 7th Session: 2.August.2017 (1) 7th Session: 2.February.2018 (1) 7th Session: 2.JUNE.2017 (1) 7th Session: 2.MAY.2017 (1) 7th Session: 2.May.2018 (1) 7th Session: 20.APR.2017 (1) 7th Session: 20.April.2018 (1) 7th Session: 20.August.2018 (1) 7th Session: 20.February.2018 (1) 7th Session: 20.July.2017 (1) 7th Session: 20.JUNE.2017 (1) 7th Session: 20.June.2018 (1) 7th Session: 20.March.2018 (1) 7th Session: 20.November.2017 (1) 7th Session: 20.September.2017 (1) 7th Session: 21.August.2017 (1) 7th Session: 21.February.2018 (1) 7th Session: 21.JUNE.2017 (2) 7th Session: 21.June.2018 (1) 7th Session: 21.March.2018 (1) 7th Session: 21.May.2018 (1) 7th Session: 21.November.2017 (1) 7th Session: 21.September.2017 (1) 7th Session: 22.August.2017 (1) 7th Session: 22.February.2018 (1) 7th Session: 22.JUNE.2017 (1) 7th Session: 22.March.2018 (1) 7th Session: 22.MAY.2017 (1) 7th Session: 22.May.2018 (1) 7th Session: 22.November.2017 (1) 7th Session: 22.September.2017 (1) 7th Session: 23.April.2018 (1) 7th Session: 23.August.2017 (1) 7th Session: 23.February.2018 (1) 7th Session: 23.March.2018 (1) 7th Session: 23.MAY.2017 (1) 7th Session: 23.May.2018 (1) 7th Session: 23.November.2017 (1) 7th Session: 23.October.2017 (1) 7th Session: 24.APR.2017 (1) 7th Session: 24.April.2018 (1) 7th Session: 24.August.2017 (1) 7th Session: 24.August.2018 (1) 7th Session: 24.July.2017 (1) 7th Session: 24.MAY.2017 (1) 7th Session: 24.May.2018 (1) 7th Session: 24.November.2017 (1) 7th Session: 24.October.2017 (1) 7th Session: 25.APR.2017 (1) 7th Session: 25.April.2018 (1) 7th Session: 25.January.2018 (1) 7th Session: 25.July.2017 (1) 7th Session: 25.July.2018 (1) 7th Session: 25.June.2018 (1) 7th Session: 25.MAY.2017 (1) 7th Session: 25.October.2017 (1) 7th Session: 25.September.2017 (1) 7th Session: 25.September.2018 (1) 7th Session: 26.APR.2017 (1) 7th Session: 26.April.2018 (1) 7th Session: 26.February.2018 (1) 7th Session: 26.July.2018 (1) 7th Session: 26.June.2017 (1) 7th Session: 26.June.2018 (1) 7th Session: 26.March.2018 (1) 7th Session: 26.MAY.2017 (1) 7th Session: 26.October.2017 (1) 7th Session: 26.September.2017 (1) 7th Session: 27.APR.2017 (1) 7th Session: 27.April.2018 (1) 7th Session: 27.February.2018 (1) 7th Session: 27.July.2017 (1) 7th Session: 27.July.2018 (1) 7th Session: 27.JUNE.2017 (1) 7th Session: 27.June.2018 (1) 7th Session: 27.March.2018 (1) 7th Session: 27.November.2017 (1) 7th Session: 27.October.2017 (1) 7th Session: 27.September.2017 (1) 7th Session: 28.APR.2017 (1) 7th Session: 28.August.2017 (1) 7th Session: 28.February.2018 (1) 7th Session: 28.July.2017 (1) 7th Session: 28.JUNE.2017 (1) 7th Session: 28.June.2018 (1) 7th Session: 28.March.2018 (1) 7th Session: 28.November.2017 (1) 7th Session: 28.September.2017 (1) 7th Session: 29.August.2017 (1) 7th Session: 29.January.2018 (1) 7th Session: 29.JUNE.2017 (1) 7th Session: 29.June.2018 (1) 7th Session: 29.MAY.2017 (1) 7th Session: 29.May.2018 (1) 7th Session: 29.November.2017 (1) 7th Session: 3.April.2018 (1) 7th Session: 3.August.2017 (1) 7th Session: 3.August.2018 (1) 7th Session: 3.July.2017 (1) 7th Session: 3.MAY.2017 (1) 7th Session: 3.May.2018 (1) 7th Session: 3.October.2017 (1) 7th Session: 30.August.2017 (1) 7th Session: 30.August.2018 (1) 7th Session: 30.January.2018 (1) 7th Session: 30.JUNE.2017 (1) 7th Session: 30.MAY.2017 (1) 7th Session: 30.May.2018 (1) 7th Session: 30.November.2017 (1) 7th Session: 30.October.2017 (1) 7th Session: 31.August.2017 (1) 7th Session: 31.August.2018 (1) 7th Session: 31.January.2018 (1) 7th Session: 31.July.2017 (1) 7th Session: 31.MAY.2017 (1) 7th Session: 31.May.2018 (1) 7th Session: 31.October.2017 (1) 7th Session: 4.April.2018 (1) 7th Session: 4.August.2017 (1) 7th Session: 4.July.2017 (1) 7th Session: 4.July.2018 (1) 7th Session: 4.June.2018 (1) 7th Session: 4.MAY.2017 (1) 7th Session: 4.May.2018 (1) 7th Session: 4.November.2017 (1) 7th Session: 4.October.2017 (1) 7th Session: 4.September.2017 (1) 7th Session: 5.4.2017 (1) 7th Session: 5.April.2018 (1) 7th Session: 5.February.2018 (1) 7th Session: 5.July.2017 (1) 7th Session: 5.July.2018 (1) 7th Session: 5.June.2018 (1) 7th Session: 5.March.2018 (1) 7th Session: 5.MAY.2017 (1) 7th Session: 5.November.2017 (1) 7th Session: 5.October.2017 (1) 7th Session: 5.September.2017 (1) 7th Session: 6.4.2017 (1) 7th Session: 6.April.2018 (1) 7th Session: 6.December.2017 (1) 7th Session: 6.February.2018 (1) 7th Session: 6.July.2017 (1) 7th Session: 6.June.2018 (1) 7th Session: 6.March.2018 (1) 7th Session: 6.November.2017 (1) 7th Session: 6.October.2017 (1) 7th Session: 6.September.2017 (1) 7th Session: 7.December.2017 (1) 7th Session: 7.February.2018 (1) 7th Session: 7.July.2017 (1) 7th Session: 7.June.2018 (1) 7th Session: 7.March.2018 (1) 7th Session: 7.May.2018 (1) 7th Session: 7.November.2017 (1) 7th Session: 7.September.2017 (1) 7th Session: 8.August.2017 (1) 7th Session: 8.December.2017 (1) 7th Session: 8.February.2018 (1) 7th Session: 8.JUNE.2017 (1) 7th Session: 8.March.2018 (1) 7th Session: 8.MAY.2017 (1) 7th Session: 8.May.2018 (1) 7th Session: 8.November.2017 (1) 7th Session: 8.September.2017 (1) 7th Session: 9.April.2018 (1) 7th Session: 9.August.2017 (1) 7th Session: 9.August.2018 (1) 7th Session: 9.February.2018 (1) 7th Session: 9.July.2018 (1) 7th Session: 9.JUNE.2017 (1) 7th Session: 9.MAY.2017 (1) 7th Session: 9.May.2018 (1) 7th Session: 9.November.2017 (1) 7th Session: 9.October.2017 (1) 8.53 am (1) 8.Jul.2016 - FREE INTEREST RATE FUTURES TIPS (1) 8.May.2018 (1) 8st Session: 25.MAY.2017 (1) 8th CURRENCY SESSION : 3.3.2017 (1) 8th Session : 01.January.2018 (1) 8th Session : 03.January.2018 (1) 8th Session : 04.January.2018 (1) 8th Session : 05.January.2018 (1) 8th Session : 09.January.2018 (1) 8th Session : 10.January.2018 (1) 8th Session : 11.January.2018 (1) 8th Session : 12.January.2018 (1) 8th Session : 15.December.2017 (1) 8th Session : 16.January.2018 (1) 8th Session : 17.January.2018 (1) 8th Session : 18.December.2017 (1) 8th Session : 18.January.2018 (1) 8th Session : 19.December.2017 (1) 8th Session : 19.January.2018 (1) 8th Session : 20.December.2017 (1) 8th Session : 21.December.2017 (1) 8th Session : 24.January.2018 (1) 8th Session : 26.December.2017 (1) 8th Session : 27.December.2017 (1) 8th Session : 28.December.2017 (1) 8th Session : 29.December.2017 (1) 8th Session: 1.August.2017 (1) 8th Session: 1.February.2018 (1) 8th Session: 1.March.2018 (1) 8th Session: 1.November.2017 (1) 8th Session: 10.APR.2017 (1) 8th Session: 10.August.2017 (1) 8th Session: 10.July.2017 (1) 8th Session: 10.November.2017 (1) 8th Session: 10.October.2017 (1) 8th Session: 11.April.2018 (1) 8th Session: 11.August.2017 (1) 8th Session: 11.July.2017 (1) 8th Session: 11.MAY.2017 (1) 8th Session: 11.October.2017 (1) 8th Session: 12.April.2018 (1) 8th Session: 12.February.2018 (1) 8th Session: 12.July.2017 (1) 8th Session: 12.JUNE.2017 (1) 8th Session: 12.March.2018 (1) 8th Session: 12.MAY.2017 (1) 8th Session: 12.October.2017 (1) 8th Session: 12.September.2017 (1) 8th Session: 13.APR.2017 (1) 8th Session: 13.July.2017 (1) 8th Session: 13.JUNE.2017 (1) 8th Session: 13.March.2018 (1) 8th Session: 13.November.2017 (1) 8th Session: 13.October.2017 (1) 8th Session: 13.September.2017 (1) 8th Session: 14.August.2017 (1) 8th Session: 14.February.2018 (1) 8th Session: 14.July.2017 (1) 8th Session: 14.JUNE.2017 (1) 8th Session: 14.March.2018 (1) 8th Session: 14.November.2017 (1) 8th Session: 14.September.2017 (1) 8th Session: 15.February.2018 (1) 8th Session: 15.June.2017 (1) 8th Session: 15.MAY.2017 (1) 8th Session: 15.November.2017 (1) 8th Session: 15.September.2017 (1) 8th Session: 16.April.2018 (1) 8th Session: 16.August.2017 (1) 8th Session: 16.March.2018 (1) 8th Session: 17.APR.2017 (1) 8th Session: 17.April.2018 (1) 8th Session: 17.July.2017 (1) 8th Session: 17.October.2017 (1) 8th Session: 18.APR.2017 (1) 8th Session: 18.August.2017 (1) 8th Session: 18.July.2017 (1) 8th Session: 18.September.2017 (1) 8th Session: 19.APR.2017 (1) 8th Session: 19.July.2017 (1) 8th Session: 19.JUNE.2017 (1) 8th Session: 19.March.2018 (1) 8th Session: 19.MAY.2017 (1) 8th Session: 19.September.2017 (1) 8th Session: 2.August.2017 (2) 8th Session: 2.February.2018 (1) 8th Session: 2.JUNE.2017 (1) 8th Session: 2.MAY.2017 (1) 8th Session: 2.May.2018 (1) 8th Session: 2.November.2017 (1) 8th Session: 20.APR.2017 (1) 8th Session: 20.April.2018 (1) 8th Session: 20.February.2018 (1) 8th Session: 20.July.2017 (1) 8th Session: 20.JUNE.2017 (1) 8th Session: 20.March.2018 (1) 8th Session: 20.November.2017 (1) 8th Session: 20.September.2017 (1) 8th Session: 21.August.2017 (1) 8th Session: 21.February.2018 (1) 8th Session: 21.JUNE.2017 (2) 8th Session: 21.November.2017 (1) 8th Session: 21.September.2017 (1) 8th Session: 22.August.2017 (1) 8th Session: 22.February.2018 (1) 8th Session: 22.JUNE.2017 (1) 8th Session: 22.March.2018 (1) 8th Session: 22.MAY.2017 (1) 8th Session: 22.November.2017 (1) 8th Session: 22.September.2017 (1) 8th Session: 23.April.2018 (1) 8th Session: 23.August.2017 (1) 8th Session: 23.JUNE.2017 (1) 8th Session: 23.March.2018 (1) 8th Session: 23.MAY.2017 (1) 8th Session: 23.November.2017 (1) 8th Session: 23.October.2017 (1) 8th Session: 24.APR.2017 (1) 8th Session: 24.April.2018 (1) 8th Session: 24.August.2017 (1) 8th Session: 24.July.2017 (1) 8th Session: 24.MAY.2017 (1) 8th Session: 24.November.2017 (1) 8th Session: 24.October.2017 (1) 8th Session: 25.APR.2017 (1) 8th Session: 25.April.2018 (1) 8th Session: 25.January.2018 (1) 8th Session: 25.July.2017 (1) 8th Session: 25.October.2017 (1) 8th Session: 25.September.2017 (1) 8th Session: 26.APR.2017 (1) 8th Session: 26.April.2018 (1) 8th Session: 26.February.2018 (1) 8th Session: 26.June.2017 (1) 8th Session: 26.March.2018 (1) 8th Session: 26.MAY.2017 (1) 8th Session: 26.October.2017 (1) 8th Session: 26.September.2017 (1) 8th Session: 27.APR.2017 (1) 8th Session: 27.April.2018 (1) 8th Session: 27.February.2018 (1) 8th Session: 27.July.2017 (1) 8th Session: 27.JUNE.2017 (1) 8th Session: 27.March.2018 (1) 8th Session: 27.October.2017 (1) 8th Session: 27.September.2017 (1) 8th Session: 28.APR.2017 (1) 8th Session: 28.August.2017 (1) 8th Session: 28.February.2018 (1) 8th Session: 28.July.2017 (1) 8th Session: 28.JUNE.2017 (1) 8th Session: 28.March.2018 (1) 8th Session: 28.November.2017 (1) 8th Session: 29.August.2017 (1) 8th Session: 29.January.2018 (1) 8th Session: 29.JUNE.2017 (1) 8th Session: 29.MAY.2017 (1) 8th Session: 29.November.2017 (1) 8th Session: 3.April.2018 (1) 8th Session: 3.August.2017 (1) 8th Session: 3.July.2017 (1) 8th Session: 3.MAY.2017 (1) 8th Session: 3.May.2018 (1) 8th Session: 3.October.2017 (1) 8th Session: 30.August.2017 (1) 8th Session: 30.January.2018 (1) 8th Session: 30.JUNE.2017 (1) 8th Session: 30.MAY.2017 (1) 8th Session: 30.October.2017 (1) 8th Session: 31.August.2017 (1) 8th Session: 31.January.2018 (1) 8th Session: 31.July.2017 (1) 8th Session: 31.MAY.2017 (1) 8th Session: 31.October.2017 (1) 8th Session: 4.April.2018 (1) 8th Session: 4.August.2017 (1) 8th Session: 4.July.2017 (1) 8th Session: 4.MAY.2017 (1) 8th Session: 4.May.2018 (1) 8th Session: 4.November.2017 (1) 8th Session: 4.October.2017 (1) 8th Session: 4.September.2017 (1) 8th Session: 5.4.2017 (1) 8th Session: 5.April.2018 (1) 8th Session: 5.February.2018 (1) 8th Session: 5.July.2017 (1) 8th Session: 5.March.2018 (1) 8th Session: 5.MAY.2017 (1) 8th Session: 5.November.2017 (1) 8th Session: 5.October.2017 (1) 8th Session: 5.September.2017 (1) 8th Session: 6.April.2018 (1) 8th Session: 6.December.2017 (1) 8th Session: 6.July.2017 (1) 8th Session: 6.March.2018 (1) 8th Session: 6.November.2017 (1) 8th Session: 6.October.2017 (1) 8th Session: 6.September.2017 (1) 8th Session: 7.December.2017 (1) 8th Session: 7.February.2018 (1) 8th Session: 7.July.2017 (1) 8th Session: 7.March.2018 (1) 8th Session: 7.November.2017 (1) 8th Session: 7.September.2017 (1) 8th Session: 8.August.2017 (1) 8th Session: 8.December.2017 (1) 8th Session: 8.JUNE.2017 (1) 8th Session: 8.March.2018 (1) 8th Session: 8.MAY.2017 (1) 8th Session: 8.November.2017 (1) 8th Session: 8.September.2017 (1) 8th Session: 9.April.2018 (1) 8th Session: 9.August.2017 (1) 8th Session: 9.February.2018 (1) 8th Session: 9.JUNE.2017 (1) 8th Session: 9.MAY.2017 (1) 8th Session: 9.November.2017 (1) 8th Session: 9.October.2017 (1) 9.Dec.2015: Profit 33 Paise in GBPINR TIPS (1) 9.May.2018 (1) 9th Session: 16.October.2017 (1) anyway. (3) Apple weighs on Wall Street; oil (1) Are Bank Fixed Deposits (FDs) safe? (1) Are banks the only institution that offers fixed deposit? (1) Are the interest rates for all the banks the same? (1) as key Fed members support multiple rate hikes in 2016 (1) as markets struggle to interpret Fed minutes (1) Asia mixed (1) Asia shares track Wall Street higher (1) Asia slips after Apple results hit Wall Street (1) Asia slips on weaker oil (1) Asia stocks (1) Asia stocks slide after Wall St losses (1) Asia stocks wallow at six-week lows (1) Asian markets mixed; Nikkei up 0.5% (1) Asian shares (1) Asian shares dip (1) Asian shares firm after US service sector rebounds :06.10.2016 (1) Asian shares firm in countdown to China data : 19.10.2016 (1) Asian shares wobble (1) Asian stocks edge higher amid low risk appetite; oil firm In Asia : 18.10.2016 (1) Asian stocks up (1) At what frequency will I receive interest on my FD? (1) Auto Stocks Outlook for the week – 02 to 05.05.2017 (1) Auto Stocks Outlook for the week – 03 to 07.04.2017 (1) Auto Stocks Outlook for the week – 08 to 12.05.2017 (1) Auto Stocks Outlook for the week – 10 to 14.04.2017 (1) Auto Stocks Outlook for the week – 15 to 19.05.2017 (1) Auto Stocks Outlook for the week – 17 to 21.04.2017 (1) Auto Stocks Outlook for the week – 20 to 24.02.2017 (1) Auto Stocks Outlook for the week – 22 to 26.05.2017 (1) Auto Stocks Outlook for the week – 24 to 28.04.2017 (1) Auto Stocks Outlook for the week – 26 to 30.09.2016 (1) Auto Stocks Outlook for the week – 27 to 31.03.2017 (1) Auto Stocks Outlook for the Week – 27.02.2017 to 03.03.2017 (1) Auto Stocks Outlook for the week – 29.05.2017 to 02.06.2017 (1) Avoid Trading on Borrowed Money - Rupeedesk Consultancy (3) bank stocks lead Wall Street higher : 06.10.2016 (1) Bank Stocks Outlook for the Outlook – 29.05.2017 to 02.06.2017 (1) Bank Stocks Outlook for the week – 02 to 05.05.2017 (1) Bank Stocks Outlook for the week – 03 to 07.04.2017 (1) Bank Stocks Outlook for the week – 08 to 12.05.2017 (1) Bank Stocks Outlook for the week – 10 to 14.04.2017 (1) Bank Stocks Outlook for the week – 15 to 19.05.2017 (1) Bank Stocks Outlook for the week – 17 to 21.04.2017 (1) Bank Stocks Outlook for the week – 20 to 24.02.2017 (1) Bank Stocks Outlook for the week – 22 to 26.05.2017 (1) Bank Stocks Outlook for the week – 24 to 28.04.2017 (1) Bank Stocks Outlook for the week – 27 to 31.03.2017 (1) Bank Stocks Outlook for the week – 27.02.2017 to 03.03.2017 (1) BANKNIFTY Trend Updation (5) Banks Stocks Outlook for the week – 26 to 30.09.2016 (1) Basic Course - Share Market Classes (1) Basic Course - Share Market Classes - Share Market Training (7) Basic Course - Share Market Classes - Stock Market Training : 9841986753 (1) Basic Course - Share Market Training - Stock Market Training : 9094047040 (1) Basic Course - Stock Market Classes - Stock Market Training : 9094047040 (1) Basic Course - Stock Market Training - Share Market Training: 9841986753 (1) Basic Course | Share Market Classes | Share Market Training (1) Bearish Reversal pattern? (1) Bearish Reversal? (1) Beginners Guide to Commodities Futures Trading in India (2) Benchmark yield to trade between 7.10-7.20% : Aug 30 (1) BEST 4 CURRENCY TIPS 5th SESSION : 3.4.2017 (1) BEST 4 CURRENCY TIPS 6th SESSION : 3.4.2017 (1) BEST 4 CURRENCY TIPS 7th SESSION : 3.4.2017 (1) Best Currency Calls (67) Best Currency Tips (61) BEST CURRENCY TIPS EURINR 2th SESSION : 3.4.2017 (1) BEST CURRENCY TIPS GBPINR 3th SESSION : 3.4.2017 (1) BEST CURRENCY TIPS JPYINR 4th SESSION : 3.4.2017 (1) BEST CURRENCY TIPS USDINR 1th SESSION : 3.4.2017 (1) Best Offer Price in Stock Future Tips : Join : 9841986753 (1) Best Offer Price in Stock Options Tips : Whatsapp : 9841986753 (1) Best Offers In GBPINR Future Tips : Join Our : 9841986753 (1) Best Offers in Stock Future Tips - Join : 9094047040 (1) Best Offers In USDINR Future Tips - Join - 9841986753 (1) Best Offers In USDINR Future Tips : Join 9841986753 (1) BoE in focus Forex : 04.08.2016 (1) BoJ (1) Bond market likely to stay cautious:10/19/2016 (1) bond yield at 6.72-6.75%:10/20/2016 (1) bond yield seen in 6.43-6.48% range : 15.16.2016 (1) Bond yields likely to remain steady: 19.09.2016 8.59Am (1) BTST EURINR TIPS (407) BTST GBPINR TIPS (407) BTST JPYINR TIPS (407) BTST USDINR TIPS (407) Buy Calls (1) Call Rupeedesk : A Free Service (1) Call Rupeedesk for you Stock Queries (1) Can currency futures help small traders? (2) Can I get a loan against a Fixed Deposit? (1) Can I redeem my FD before the original term? (1) CANBK Profit 5% (1) Capital Goods Stocks Outlook – 10 to 14.04.2017 (1) Capital Goods Stocks Outlook for the week – 08 to 12.05.2017 (1) Capital Goods Stocks Outlook for the week – 15 to 19.05.2017 (1) Capital Goods Stocks Outlook for the week – 17 to 21.04.2017 (1) Capital Goods Stocks Outlook for the week – 20 to 24.02.2017 (1) Capital Goods Stocks Outlook for the week – 22 to 26.05.2017 (1) Capital Goods Stocks Outlook for the week – 24 to 28.04.2017 (1) Capital Goods Stocks Outlook for the week – 26 to 30.09.2016 (1) Capital Goods Stocks Outlook for the week – 27 to 31.03.2017 (1) Capital Goods Stocks Outlook For The Week – 27.02.2017 to 03.03.2017 (1) Capital Goods Stocks Outlook for the week – 29.05.2017 to 02.06.2017 (1) Capital Market Training - Stock Market Training: 9094047040 (1) Careers in Share Markets in India - Stock Market Training : 9841986753 (1) CASH (17) CASH : 03.04.2017 (1) CASH : 06.04.2017 (1) Cement Stocks Outlook for the week - 08 to 12.05.2017 (1) Cement Stocks Outlook for the week – 03 to 07.04.2017 (1) Cement Stocks Outlook for the week – 10 to 14.04.2017 (1) Cement Stocks Outlook for the week – 15 to 19.05.2017 (1) Cement Stocks Outlook for the week – 20 to 24.02.2017 (1) Cement Stocks Outlook for the week – 24 to 28.04.2017 (1) Cement Stocks Outlook for the week – 26 to 30.09.2016 (1) Cement Stocks Outlook for the week – 27 to 31.03.2017 (1) Cement Stocks Outlook for the Week – 27.02.2017 to 03.03.2017 (1) Cement Stocks Outlook for the week – 29.05.2017 to 02.06.2017 (1) Chart Pattern - Cup and Handle Pattern - Share Market Training in Tamil (1) Chennai (1) China August forex reserves fall to lowest since 2011 : 07.09.2016 (1) China PMIs in focus : 01.11.2016 (1) China's yuan firms as dollar slumps globally (1) CLICK HERE TO REGISTER - OPTIONS TIPS (1) Commodity : 04.10.2017 (1) Commodity : 05.10.2017 (1) Commodity : 06.10.2017 (1) Commodity : 06.11.2017 (1) Commodity : 07.11.2017 (1) Commodity : 09.10.2017 (1) Commodity : 10.10.2017 (1) Commodity : 11.10.2017 (1) Commodity : 12.10.2017 (1) Commodity : 13.10.2017 (1) Commodity : 17.10.2017 (1) Commodity : 23.10.2017 (1) Commodity : 24.10.2017 (1) Commodity : 26.10.2017 (1) Commodity : 27.10.2017 (1) Commodity : 30.10.2017 (1) Commodity and Equity : 03.04.2017 (1) Commodity and Equity : 05.04.2017 (3) Commodity and Equity : 06.04.2017 (1) Commodity and Equity : 10.04.2017 (2) Commodity and Equity : 11.04.2017 (1) Commodity and Equity : 13.04.2017 (1) Commodity and Equity : 17.04.2017 (1) Commodity and Equity : 24.04.2017 (2) Commodity and Equity : 25.04.2017 (2) Commodity and Equity : 26.04.2017 (1) Commodity and Equity : 27.04.2017 (1) Commodity and Equity Levels : 08.01.2017 (1) Commodity Market Trend Updates : 02.06.2016 (1) COMMODITY MCX ZINC (1) Commodity News : 02.05.2016 (1) Commodity Options ( Gold Options) will be launched on 17.10.17 (Tuesday) - MCX India (1) Commodity Trading Tips : Join Whatsapp - 9841986753 (1) consumer stocks drag : 18.10.2016 (1) Continuation and Reversal Patterns - Technical Analysis - Rupeedesk - Share Market Training (1) Copper (8) Copper Tips :Register To Get 2 days Trial Tips (1) Corporate Commodity Pack (1) Corporate Pack Success calls (1) Cross Currency Futures (1) Cross Currency Futures in India (11) Cross Currency Futures in India : 01.August.2018 (1) Cross Currency Futures in India : 01.October.2018 (1) Cross Currency Futures in India : 02.June.2018 (1) Cross Currency Futures in India : 02.November.2018 (1) Cross Currency Futures in India : 03.August.2018 (1) Cross Currency Futures in India : 03.December.2018 (1) Cross Currency Futures in India : 03.June.2018 (1) Cross Currency Futures in India : 03.October.2018 (1) Cross Currency Futures in India : 03.September.2018 (1) Cross Currency Futures in India : 04.December.2018 (1) Cross Currency Futures in India : 04.June.2018 (1) Cross Currency Futures in India : 04.May.2018 (1) Cross Currency Futures in India : 05.December.2018 (1) Cross Currency Futures in India : 05.June.2018 (1) Cross Currency Futures in India : 05.May.2018 (1) Cross Currency Futures in India : 05.October.2018 (1) Cross Currency Futures in India : 06.August.2018 (1) Cross Currency Futures in India : 06.June.2018 (1) Cross Currency Futures in India : 06.May.2018 (1) Cross Currency Futures in India : 06.September.2018 (1) Cross Currency Futures in India : 08.May.2018 (1) Cross Currency Futures in India : 08.October.2018 (1) Cross Currency Futures in India : 09.August.2018 (1) Cross Currency Futures in India : 09.June.2018 (1) Cross Currency Futures in India : 09.November.2018 (1) Cross Currency Futures in India : 09.October.2018 (1) Cross Currency Futures in India : 10.June.2018 (1) Cross Currency Futures in India : 11.June.2018 (1) Cross Currency Futures in India : 11.May.2018 (1) Cross Currency Futures in India : 11.October.2018 (1) Cross Currency Futures in India : 12.June.2018 (1) Cross Currency Futures in India : 12.November.2018 (1) Cross Currency Futures in India : 12.October.2018 (1) Cross Currency Futures in India : 13.August.2018 (1) Cross Currency Futures in India : 13.June.2018 (1) Cross Currency Futures in India : 13.May.2018 (1) Cross Currency Futures in India : 13.November.2018 (1) Cross Currency Futures in India : 14.May.2018 (1) Cross Currency Futures in India : 14.November.2018 (1) Cross Currency Futures in India : 15.May.2018 (1) Cross Currency Futures in India : 15.October.2018 (1) Cross Currency Futures in India : 16.August.2018 (1) Cross Currency Futures in India : 16.June.2018 (1) Cross Currency Futures in India : 16.October.2018 (1) Cross Currency Futures in India : 17.October.2018 (1) Cross Currency Futures in India : 17.September.2018 (1) Cross Currency Futures in India : 18.June.2018 (1) Cross Currency Futures in India : 18.May.2018 (1) Cross Currency Futures in India : 19.June.2018 (1) Cross Currency Futures in India : 19.May.2018 (1) Cross Currency Futures in India : 19.September.2018 (1) Cross Currency Futures in India : 20.August.2018 (1) Cross Currency Futures in India : 20.May.2018 (1) Cross Currency Futures in India : 21.September.2018 (1) Cross Currency Futures in India : 22.May.2018 (1) Cross Currency Futures in India : 23.August.2018 (1) Cross Currency Futures in India : 23.June.2018 (1) Cross Currency Futures in India : 23.October.2018 (1) Cross Currency Futures in India : 24.August.2018 (1) Cross Currency Futures in India : 24.June.2018 (1) Cross Currency Futures in India : 24.October.2018 (1) Cross Currency Futures in India : 24.September.2018 (1) Cross Currency Futures in India : 25.June.2018 (1) Cross Currency Futures in India : 25.May.2018 (1) Cross Currency Futures in India : 25.October.2018 (1) Cross Currency Futures in India : 25.September.2018 (1) Cross Currency Futures in India : 26.June.2018 (1) Cross Currency Futures in India : 26.May.2018 (1) Cross Currency Futures in India : 26.October.2018 (1) Cross Currency Futures in India : 26.September.2018 (1) Cross Currency Futures in India : 27.August.2018 (1) Cross Currency Futures in India : 27.June.2018 (1) Cross Currency Futures in India : 27.May.2018 (1) Cross Currency Futures in India : 27.November.2018 (1) Cross Currency Futures in India : 28.August.2018 (1) Cross Currency Futures in India : 28.June.2018 (1) Cross Currency Futures in India : 28.May.2018 (1) Cross Currency Futures in India : 28.November.2018 (1) Cross Currency Futures in India : 28.September.2018 (1) Cross Currency Futures in India : 29.June.2018 (1) Cross Currency Futures in India : 29.May.2018 (1) Cross Currency Futures in India : 29.November.2018 (1) Cross Currency Futures in India : 29.October.2018 (1) Cross Currency Futures in India : 30.August.2018 (1) Cross Currency Futures in India : 30.June.2018 (1) Cross Currency Futures in India : 30.May.2018 (1) Cross Currency Futures in India : 30.November.2018 (1) Cross Currency Futures in India : 31.August.2018 (1) Cross Currency Futures in India : 31.June.2018 (1) Cross Currency Futures in India : 31.May.2018 (1) Cross Currency Futures in India : 31.October.2018 (1) Cross Currency Futures in India : 7.September.2018 (1) CrossCurrency Future Tips (1) CrossCurrency Futures in India (1) Crudeoil (Mcx Commodity Tips): Free Whatsapp : 9841986753 (1) Crudeoil Tips : Get 2 days Trial Tips : 02.02.2017 (1) Crudeoil Tips For 2 days Free Trial - Join Whatsapp : 9841986753 (1) Currencies Technical Analysis : 29.08.2016 (1) Currency & Debt market : 29.08.2016 (1) Currency Analyst Tips (1) Currency and Debt market : Aug 24 (1) Currency basics and Trading : Can currency futures help small traders? (1) Currency basics and Trading : Does the national economy of India need currency futures? (1) Currency basics and Trading : How and why does the demand and supply of a currency increase and decrease? (1) Currency basics and Trading : How are currency prices determined? (1) Currency basics and Trading : How do exchange-traded currency futures enable hedging against currency risk? (1) Currency basics and Trading : If I am an AD Category I Bank (1) Currency basics and Trading : If I am an individual with no exposure to foreign exchange risks (1) Currency basics and Trading : In which currency are the currency futures contracts settled? (1) Currency basics and Trading : What are benefits of spread contract? (1) Currency basics and Trading : What are Currency Futures Contracts? (1) Currency basics and Trading : What are the benefits of trading in Currency Derivatives (1) Currency basics and Trading : What are the currencies traded on MCX-SX? (1) Currency basics and Trading : What are the factors that affect the exchange rate of a currency? (1) Currency basics and Trading : What are the major fundamental factors that affect currency movements? (1) Currency basics and Trading : What are the risks involved in currency futures market? (1) Currency basics and Trading : What are the terms and conditions set by RBI for Banks to participate in exchange traded fx futures? (1) Currency basics and Trading : What are the trading hours on MCX-SX? (1) Currency basics and Trading : What are the various types of margins that are levied to manage the risk? (1) Currency basics and Trading : What is a currency futures contract? (1) Currency basics and Trading : What is a Spot Market? (1) Currency basics and Trading : What is Currency Derivatives? (1) Currency basics and Trading : What is currency trading? (1) Currency basics and Trading : What is Forex? (1) Currency basics and Trading : What is the last trading day of these currency futures contract? (1) Currency basics and Trading : What is the minimum trading unit (i.e. contract size) and tenure of the USDINR (1) Currency basics and Trading : What is the need of currency futures? (1) Currency basics and Trading : Which are the global exchanges that provide trading in currency futures? (1) Currency basics and Trading : Who can participate in a currency futures market? (1) Currency basics and Trading : Who can trade in Currency futures markets in India? (1) Currency basics and Trading : Who is eligible to trade in Currency Derivatives? (1) Currency basics and Trading : Who trades Foreign Exchanges? (1) Currency basics and Trading : Why exchange-traded futures? What's wrong with the currency forward market that has been existing in India for a long time? (1) Currency basics and Trading : Why should one trade in Indian exchanges as compared to international exchanges? 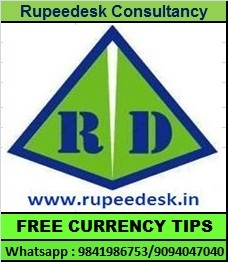 (1) Currency Chart Tips (66) Currency Coin Tips (124) CURRENCY CORPORATE PACK (2) CURRENCY CORPORATE PACK TODAY (1) CURRENCY DAILY SUPPORT RESISTANCE LEVELS (430) Currency Education : What are the terms and conditions set by RBI for Banks to participate in exchange traded fx futures? (1) Currency Education : What are the various types of margins that are levied to manage the risk? (1) Currency Education : Can currency futures help small traders? (1) Currency Education : Does the national economy of India need currency futures? (1) Currency Education : How and why does the demand and supply of a currency increase and decrease? (1) Currency Education : How are currency prices determined? (1) Currency Education : How do exchange-traded currency futures enable hedging against currency risk? (1) Currency Education : If I am an AD Category I Bank (1) Currency Education : If I am an individual with no exposure to foreign exchange risks (1) Currency Education : What are benefits of spread contract? (1) Currency Education : What are Currency Futures Contracts? (1) Currency Education : What are the benefits of trading in Currency Derivatives (1) Currency Education : What are the currencies traded on MCX-SX? (1) Currency Education : What are the factors that affect the exchange rate of a currency? (1) Currency Education : What are the major fundamental factors that affect currency movements? (1) Currency Education : What are the risks involved in currency futures market? (1) Currency Education : What are the trading hours on MCX-SX? (1) Currency EURINR Net Profit 8 to 12 Paise (Daily) : Join Whatsapp - 9841986753 (1) Currency Futures - Hourly Market Trend (1) Currency Futures - Hourly Market Trend : 10.09.2018 9.09 Am (1) Currency Futures - Hourly Market Trend : 12.09.2018 2.45 Pm (1) Currency Futures - Hourly Market Trend : 14.09.2018 1.56 Pm (1) Currency Futures - Hourly Market Trend : 14.09.2018 9.11 Am (1) Currency Futures - Hourly Market Trend : 9841986753 (1) Currency Futures Tips - Join whatsapp : 9094047040 (1) Currency Futures Tips - Join whatsapp 9841986753 (1) Currency GBPINR Net Profit 8 to 12 Paise (Daily) : Join Whatsapp - 9841986753 (1) Currency Guide for Hedging : 13.04.2017 (1) Currency Hedging Guide : 13.06.2017 (1) Currency Hedging Guide for Import and Export -Exim : 07.06.2017 (1) Currency Hedging Guide for Import and Export -Exim : 08.06.2017 (1) Currency Hedging Guide for Import and Export -Exim : 08.09.2017 (1) Currency Hedging Guide for Import and Export -Exim : 12.06.2017 (1) Currency Hedging Guide for Import and Export -Exim : 17.05.2017 (1) Currency Hedging Guide for Import and Export -Exim : 18.05.2017 (1) Currency Hedging Guide for Import and Export -Exim : 22.05.2017 (1) Currency Hedging Guide for Import and Export -Exim : 23.05.2017 (1) Currency Hedging Guide for Import and Export -Exim : 24.05.2017 (1) Currency Hedging Guide for Import and Export -Exim : 25.05.2017 (1) Currency Hedging Guide for Import and Export -Exim : 26.05.2017 (1) Currency Hedging Guide for Import and Export -Exim : 29.05.2017 (1) Currency Hedging Guide for Import and Export -Exim : 30.05.2017 (1) Currency Hedging Guide for Import and Export -Exim : 31.05.2017 (1) Currency Hedging Guide for Import and Export Trader : 15.05.2017 (1) Currency Hedging Guide for Import and Export Trader : 16.05.2017 (1) Currency Hedging Guide for Importer and Exporter : 04.05.2017 (1) Currency Hedging Guide for Importer and Exporter : 18.04.2017 (1) Currency Hedging Guide for Importer and Exporter : 19.04.2017 (1) Currency Hedging Guide for Importer and Exporter : 20.04.2017 (1) Currency Hedging Guide for Importer and Exporter : 28.04.2017 (1) Currency Hedging Tips - Import and Export -Exim : 02.11.2018 (1) Currency Import and Export Hedging Levels : 06.01.2017 (1) Currency Intraday Levels : 29.11.2016 (1) CURRENCY INTRADAY SUPPORT RESISTANCE LEVELS (1) Currency Intraday Tips | Intraday Tips | Free tips | Share tips | Free Currency Tips - Join Whatsapp 9841986753 (1) CURRENCY INTRADAY TRADING LEVELS (1) Currency JPYINR Net Profit 8 to 12 Paise (Daily) : Join Whatsapp - 9841986753 (1) Currency Margin (67) Currency Market and Debt Market : 01.09.2016 (1) Currency Market Education (1) Currency Market Intraday Update (1) Currency Market Live in India - Join whatsapp - 9094047040 (1) Currency Market Live in India - Join whatsapp : 9094047040 (1) Currency Market Live in India - Join whatsapp : 9841986753 (1) Currency Market Live in India - USDINR (1) Currency Market Live in India | USDINR |EURINR |GBPINR | EURINR Currency tips - Join whatsapp : 9094047040 (1) Currency Market Live in India | USDINR |EURINR |GBPINR | EURINR Currency tips - Join whatsapp : 9841986753 (1) CURRENCY MARKET OVERVIEW : 11.08.2016 (1) Currency Market Support and Resistance : 22.11.2016 (1) Currency Market Support and Resistance Level : 15.05.2017 (1) CURRENCY MARKET SUPPORT AND RESISTANCE LEVLES (1) Currency Market Trading Tips - Join Our Whatsapp - 9841986753 (1) Currency Market Trading Tips - Join Our Whatsapp : 9841986753 (1) Currency Market Trading Tips : Join Our Whatsapp : 9841986753 (1) Currency Market Training in Chennai(ONE to ONE Training) (1) Currency Market Trend Update : 03.02 Pm : 03.08.2016 (1) Currency Market Trend Update : 03.06 Pm : 02.08.2016 (1) Currency Market Trend Update : 13.18 Pm : 03.08.2016 (1) Currency Market Trend Updates ( Call - 9841986753) (1) Currency Market Update (3) Currency Market Update 10/19/2016 10:45 (1) Currency Market Update 23-08-2016 16:02 (1) Currency Market Update 07-09-2016 12:05 (1) Currency Market Update 24-08-2016 12:04 (1) Currency Market Update 25-08-2016 12:11Pm (1) Currency Market Update 26-08-2016 14:43Pm (1) Currency Market Update 29-08-2016 18:27 (1) Currency Market Update : 01-08-2016 15:47 (1) Currency Market Update : 01.02.2017 14:19 (1) Currency Market Update : 01.03.207 13:39 (1) Currency Market Update : 02.02.2017 12:59 (1) Currency Market Update : 02.03.2017 12:57 (1) Currency Market Update : 03-08-2016 11:47 (1) Currency Market Update : 03.01.2017 11:50 (1) Currency Market Update : 03.02.2017 13:32 (1) Currency Market Update : 04.01.2017 10:34 (1) Currency Market Update : 06.01.2017 12:35 (1) Currency Market Update : 06.03.2017 15:14 (1) Currency Market Update : 07.02.2017 12:48 (1) Currency Market Update : 08.02.2017 15:49 (1) Currency Market Update : 09.01.2017 10:57 (1) Currency Market Update : 09.02.2017 13:57 (1) Currency Market Update : 1.12.2016 11:42 (1) Currency Market Update : 10.01.2017 12:00 (1) Currency Market Update : 10.02.2017 11:49 (1) Currency Market Update : 10.3.2017 12:52 (1) Currency Market Update : 10/14/2016 14:23 (1) Currency Market Update : 10/18/2016 11:53 (1) Currency Market Update : 12/28/2016 12:46 (1) Currency Market Update : 13.01.2017 11:53 (1) Currency Market Update : 13.02.201715:42 (1) Currency Market Update : 14.02.2017 12:51 (1) Currency Market Update : 14.12.2016 13:05 (1) Currency Market Update : 14.3.2017 13:37 (1) Currency Market Update : 15.02.2017 13:26 (1) Currency Market Update : 15.3.2017 11:32 (1) Currency Market Update : 16.02.2017 15:59 (1) Currency Market Update : 17.02.2017 14:11 (1) Currency Market Update : 17.3.2017 12:30 (1) Currency Market Update : 19.01.2017 15:47 (1) Currency Market Update : 19.12.2016 12:51 (1) Currency Market Update : 2.1.2017 15:05 (1) Currency Market Update : 2.12.2016 12:15 (1) Currency Market Update : 20.02.2017 14:27 (1) Currency Market Update : 21.3.2017 13:10 (1) Currency Market Update : 22.02.2017 13:26 (1) Currency Market Update : 22.08.2016 (1) Currency Market Update : 22.3.2017 11:27 (1) Currency Market Update : 23.01.2017 15:18 (1) Currency Market Update : 23.02.2017 15:35 (1) Currency Market Update : 23.3.2017 13:50 (1) Currency Market Update : 24.01.2017 13:45 (1) Currency Market Update : 24.3.2017 13:08 (1) Currency Market Update : 25.01.2017 12:20 (1) Currency Market Update : 25.11.2016 11:49 (1) Currency Market Update : 26.12.2016 12:48 (1) Currency Market Update : 27-10-2016 11:25Am (1) Currency Market Update : 27.01.2017 15:40 (1) Currency Market Update : 27.02.2017 15:22 (1) Currency Market Update : 27.12.2016 11:11 (1) Currency Market Update : 27.3.2017 12:41 (1) Currency Market Update : 28.02.2017 14:07 (1) Currency Market Update : 28.11.2016 11:37 (1) Currency Market Update : 29.11.2016 10:53 (1) Currency Market Update : 29.12.2016 12:17 (1) Currency Market Update : 29.3.2017 12:57 (1) Currency Market Update : 3.3.2017 11:32 (1) Currency Market Update : 3.4.2017 12:48 (1) Currency Market Update : 30.01.2017 13:40 (1) Currency Market Update : 30.11.2016 11:47 (1) Currency Market Update : 30.12.2016 12:43 (1) Currency Market Update : 30.3.2017 11:41 (1) Currency Market Update : 31.01.2017 13:53 (1) Currency Market Update : 31.3.2017 12:56 (1) Currency Market Update : 6.3.2017 12:02 (1) Currency Market Update : 7.12.2016 11:23 (1) Currency Market Update : 7.3.2017 12:33 (1) Currency Market Update : 8.12.2016 13:19 (1) Currency Market Update : 8.3.2017 14:24 (1) Currency Market Update : 9.12.2016 13:56 (1) Currency Market Update : 9.3.2017 11:21 (1) Currency Market Update :10/17/2016 16:13 (1) Currency Market Update 02-09-2016 18:21 (1) Currency Market Update 06-09-2016 13:15 (1) Currency Market Update 07-09-2016 18:28 (1) Currency Market Update 08-09-2016 12:44 Pm (1) Currency Market Update 16-08-2016 14:06Pm (1) Currency Market Update 23-08-2016 18:52 (1) Currency Market Update 29-08-2016 12:36 NIFTY Fut TREND : SELL ZONE (1) Currency Market Update 30-08-2016 12:16 (1) Currency Market Update 30-08-2016 16:49Pm (1) Currency Market Update 31-08-2016 16:38 (1) Currency Market Update: 24-08-2016 16:20 (1) Currency Market Update:10/18/2016 14:44 (1) Currency Market Update:10/19/2016 13:24 (1) Currency Market Update:10/20/2016 10:48 (1) Currency Market Update:10/20/2016 14:21 (1) Currency Market Update:10/21/2016 10:26 (1) Currency Market Update:10/21/2016 13:20 (1) Currency Market Update:10/24/2016 10:13 (1) Currency Market Update:10/25/2016 10:15 (1) Currency Market Update:10/25/2016 13:55 (1) Currency Market Update:10/26/2016 10:34 (1) Currency Market Update:10/26/2016 13:42 (1) Currency Market Update:11/1/2016 9:43 (1) Currency Market Update:11/10/2016 10:06 (1) Currency Market Update:11/11/2016 11:17 (1) Currency Market Update:11/15/2016 12:58 (1) Currency Market Update:11/16/2016 12:18 (1) Currency Market Update:11/17/2016 14:03 (1) Currency Market Update:11/2/2016 9:39 (1) Currency Market Update:11/3/2016 11:04 (1) Currency Market Update:11/4/2016 10:20 (1) Currency Market Update:11/7/2016 13:24 (1) Currency Market Update:11/7/2016 9:49 (1) Currency Market Update:11/8/2016 11:08 (1) Currency Market Update:11/9/2016 12:16 (1) Currency Market Update:18.11.2016 12:49 (1) Currency Market Update:21.11.2016 13:05 (1) Currency Market Update:23.11.2016 11:37 (1) Currency Market Update:24.11.2016 12:25 (1) CURRENCY Option Tips : 24.05.2017 (1) Currency Options Tips : 02.06.2017 (1) Currency Options Tips : 03.06.2017 (1) Currency Options Tips : 26.05.2017 (1) Currency Options Tips : 30.05.2017 (1) Currency Options Tips : 31.05.2017 (1) Currency Pips and Tips (90) CURRENCY PREMIUM PACK TODAY (1) Currency Profit Tips (2) CURRENCY RESEARCH ANALYSIS (186) CURRENCY RESEARCH ANALYSIS: 2.Jan.2015 (1) Currency Research Tips (55) Currency Rupee Tips (1) Currency Support and Resistance Level : 02.06.2017 (1) CURRENCY SUPPORT AND RESISTANCE LEVELS (2) Currency Technicals Calls (66) Currency Tips (3) Currency Tips - Free Currency Tips - Currency Trading Tips - Join whatsapp - 9841986753 (1) Currency Tips - Free Currency Tips - Currency Trading Tips - Join whatsapp : 9841986753 (2) Currency Tips - Free Currency Tips - Currency Trading Tips - Join whatsapp : 9841986753 (1) Currency Tips :Register To Get 2 days Trial Tips (1) Currency Tips :Register To Get 2 days Trial Tips : 24.01.2017 (1) Currency Tips :Register To Get 2 days Trial Tips : 25.01.2017 (1) Currency Tips India (128) Currency Tips| Free Currency Tips | Currency Trading Tips - Join whatsapp : 9841986753 (1) Currency Tips| Free Currency Tips | Currency Trading Tips : Join (9841986753) (1) Currency Tips|Free Currency Tips|Currency Trading Tips|Join whatsapp : 9841986753 (1) Currency Trading Basics : Can currency futures help small traders? (1) Currency Trading Basics : Can currency futures help small traders? (1) Currency Trading Basics : Does the national economy of India need currency futures? (1) Currency Trading Basics : How and why does the demand and supply of a currency increase and decrease? (1) Currency Trading Basics : How are currency prices determined? (1) Currency Trading Basics : How do exchange-traded currency futures enable hedging against currency risk? (1) Currency Trading Basics : If I am an AD Category I Bank (1) Currency Trading Basics : If I am an individual with no exposure to foreign exchange risks (1) Currency Trading Basics : In which currency are the currency futures contracts settled? (1) Currency Trading Basics : What are benefits of spread contract? (1) Currency Trading Basics : What are Currency Futures Contracts? (1) Currency Trading Basics : What are the benefits of trading in Currency Derivatives (1) Currency Trading Basics : What are the currencies traded on MCX-SX? (1) Currency Trading Basics : What are the factors that affect the exchange rate of a currency? (1) Currency Trading Basics : What are the major fundamental factors that affect currency movements? (2) Currency Trading Basics : What are the risks involved in currency futures market? (1) Currency Trading Basics : What are the terms and conditions set by RBI for Banks to participate in exchange traded fx futures? (1) Currency Trading Basics : What are the trading hours on MCX-SX? (1) Currency Trading Basics : What are the various types of margins that are levied to manage the risk? (1) Currency Trading Basics : What is a currency futures contract? (1) Currency Trading Basics : What is a Spot Market? (1) Currency Trading Basics : What is Currency Derivatives? (1) Currency Trading Basics : What is currency trading? (1) Currency Trading Basics : What is Forex? (1) Currency Trading Basics : What is the last trading day of these currency futures contract? (1) Currency Trading Basics : What is the minimum trading unit (i.e. contract size) and tenure of the USDINR (1) Currency Trading Basics : What is the need of currency futures? (1) Currency Trading Basics : Which are the global exchanges that provide trading in currency futures? (1) Currency Trading Basics : Who can participate in a currency futures market? (1) Currency Trading Basics : Who can trade in Currency futures markets in India? (1) Currency Trading Basics : Who is eligible to trade in Currency Derivatives? (1) Currency Trading Basics : Who trades Foreign Exchanges? (1) Currency Trading Basics : Why exchange-traded futures? What's wrong with the currency forward market that has been existing in India for a long time? (1) Currency Trading Basics : Why should one trade in Indian exchanges as compared to international exchanges? (1) Currency Trading Calls (51) CURRENCY TRADING LEVELS (1) Currency Trading Levels : 19.01.2017 (1) Currency Trading Tips (4) Currency trading Tips - Forex Trading tips Provider in India - Join whatsapp : 9841986753 (1) Currency Trading Tips | Forex Trading Tips provider in India- Join whatsapp : 9094047040 (2) Currency Trading Tips | Forex Trading Tips provider in India- Join whatsapp : 9841986753 (1) Currency trading Tips | Free Currency Trading tips Provider in Chennai | Join - 9841986753 (1) Currency Trading Tips | Free Intraday Currency Tips & Calls - Join whatsapp : 9841986753 (1) Currency Trading Tips | USDINR |EURINR |GBPINR | JPYINR Currency tips - Join whatsapp : 9841986753 (3) Currency Trading Tips | USDINR |EURINR |GBPINR | JPYINR Currency tips - Join whatsapp : 9094047040 (1) Currency Trading Tips |Free Intraday Currency Tips & Calls (2) Currency Trading Tips |Free Intraday Currency Tips & Calls : 20.July.2018 (1) Currency Trading Tips |Free Intraday Currency Tips & Calls : 22.June.2018 (1) Currency Trading Tips |Free Intraday Currency Tips & Calls : 27.August.2018 (1) Currency Trading Tips |Free Intraday Currency Tips & Calls : 8.June.2018 (1) Currency Trading Tips |Free Intraday Currency Tips & Calls: 4.October.2018 (1) Currency Trading Tips Free Trial - Join whatsapp : 9094047040 (2) Currency Trading Tips Free Trial -- Join whatsapp : 9094047040 (1) Currency Trading Tips Free Trial | Join Our whatsapp - 9841986753 (1) Currency trading tips|Forex trading tips provider in India: 02.July.2018 (1) Currency trading tips|Forex trading tips provider in India: 15.June.2018 (1) Currency Trend (1) CURRENCY TREND @ 12.03PM (1) Currency Trend for Importers and Exporters : 06.10.2016 (1) CURRENCY USDINR OPTION TIPS (1) CURRENCY VOLUME ANALYSIS (187) Currency-Trading -Tips - Intraday Tips - Free tips - Share tips - Currency Day Trading Tips - Join whatsapp - 9841986753 (1) Currency-Trading -Tips - Intraday Tips - Free tips - Share tips - Currency Day Trading Tips - Join whatsapp : 9841986753 (1) currency-trading-tips - Intraday Tips (2) Daily Basis Net Profit 10-15 Paise Per Lot Currency Tips - Whatsapp : 9094047040 (1) Daily Basis Net Profit 10-15 Paise Per Lot USDINR Tips - Whatsapp : 9094047040 (3) Daily Basis Net Profit 10-15 Paise Per Lot USDINR Tips : Whatsapp - 9094047040 (1) Daily Basis Net Profit 6 - 8 Paise Per Lot USDINR Tips : Whatsapp - 9094047040 (1) Daily Basis Profit 15 Paise per Lot in Intraday Currency Tips -Whatsapp : 9094047040 (8) Daily Basis Profit Rs.2000 Per Lot in Mcx Crudeoil Tips (4) Daily Basis Profit Rs.4000 per Lot in Mcx Gold Tips -Whatsapp : 9094047040 (4) Daily Basis Profit Rs.4000 per Lot in Stock Option Tips -Whatsapp : 9841986753 (3) DAILY Net Profit 15 Paise in Indian Currency Market (Economic Pack) (18) DAILY Net Profit 20 Paise in Indian Currency Market (Premium Pack) (1) Daily Profit 10 Paise USDINR Strategy : Register Here (23) DAILY Rs. 3000/- Profit - Stock Option Pack : Whatsapp-9094047040 (2) Day trading : 02.July.2018 (1) Day trading : 15.June.2018 (1) Debt investors to be in 'wait and watch' mode: Aug 24 (1) Debt market : 22.08.2016 (1) Debt market & USDINR Currency Update : 25.08.2016 (1) Debt market Update : 18.08.2016 (1) Do Senior citizens get any extra benefit on the FD? (1) does a currency futures exchange mean anything to me? (3) Does a high interest rate offered on a fixed deposit represent a good investment? (1) Does the national economy of India need currency futures? (1) Dollar at 3-week high Aug 29 (1) dollar at 7-month high after Yellen comments :17.10.2016 (1) dollar edge up after China-induced fall : 14.10.2016 (1) Dollar edges higher in cautious trade (1) Dollar edges higher on rate hike talk; pound strengthens (1) dollar firms after upbeat US data : 04.10.2016 (1) Dollar hits fresh 5-week lows vs. other majors (1) Dollar holds near 3-week highs before ADP report : 31.08.2016 (1) Dollar index eases off 1-1/2 week lows but gains capped Sep 07 (1) Dollar index edges higher with NFP report on tap : 02.09.2016 (1) Dollar near 7 month high as euro slips : 21.10.2016 (1) dollar off highs : 27.10.2016 (1) dollar rattled by US election uncertainty : 02.11.2016 (1) Dollar remains broadly supported in quiet trade : 22.08.2016 (1) Dollar rises versus yen (1) Dollar slips lower as focus turns to Yellen : 23.08.2016 (1) Domestic Forex Tips | Currency Tips | Domestic Forex Pack - Join whatsapp : 9841986753 (1) Domestic Forex Tips | Currency Tips | Domestic Forex Pack | Join whatsapp - 9841986753 (1) Domestic Forex Tips | Currency Tips | Domestic Forex Pack: 15.June.2018 (1) Domestic Indian Currency Tips : 30.12.2016 (1) DOUBLE SUCCESS IN EQUITY PAID CALLS (4) earnings : 20.10.2016 (1) Economic indicators to be released on 12-Aug-16 (1) Education : Avoid Trading on Borrowed Money (1) EQUITY INDEX TRADING LEVEL : 18.11.2016 (1) Equity Market Trend Update 08-08-2016 11:40Am (1) Equity Segment : NIFTY Option Tips (1) Equity Tips (1) Eur USD - for Reference (1) EUR/USD - EURO US Dollar Trend (1) EUR/USD flat (1) EUR/USD FOREX TIPS 1st SESSION : 11.4.2017 (1) EUR/USD Live Forex Calls (1) EUR/USD OUTLOOK : 29.08.2016 (1) EUR/USD TECHNICAL OUTLOOK - 04.10.2016 (2) EUR/USD TECHNICAL OUTLOOK : 01.02.2017 (2) EUR/USD TECHNICAL OUTLOOK : 01.09.2016 (1) EUR/USD TECHNICAL OUTLOOK : 02.02.2017 (1) EUR/USD TECHNICAL OUTLOOK : 02.03.2017 (1) EUR/USD TECHNICAL OUTLOOK : 02.09.2016 (1) EUR/USD TECHNICAL OUTLOOK : 03.01.2017 (1) EUR/USD TECHNICAL OUTLOOK : 03.